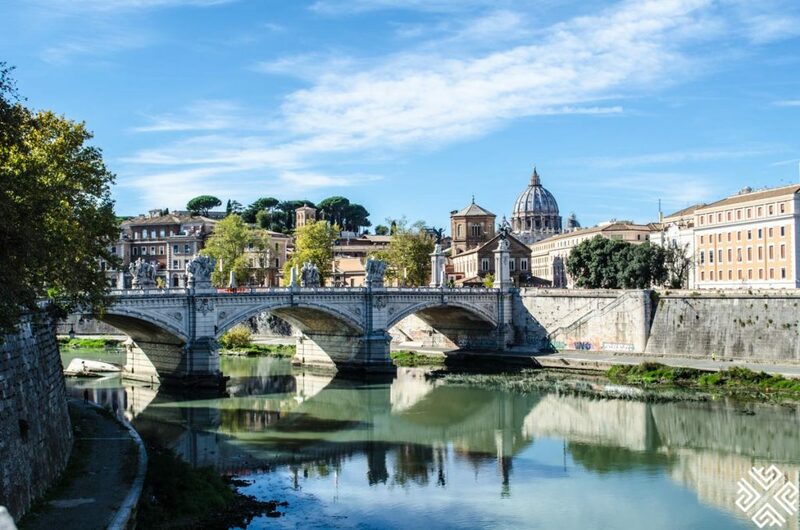 It would be hard not to find someone completely enamored by the beauty of Rome – the ancient capital of the world. 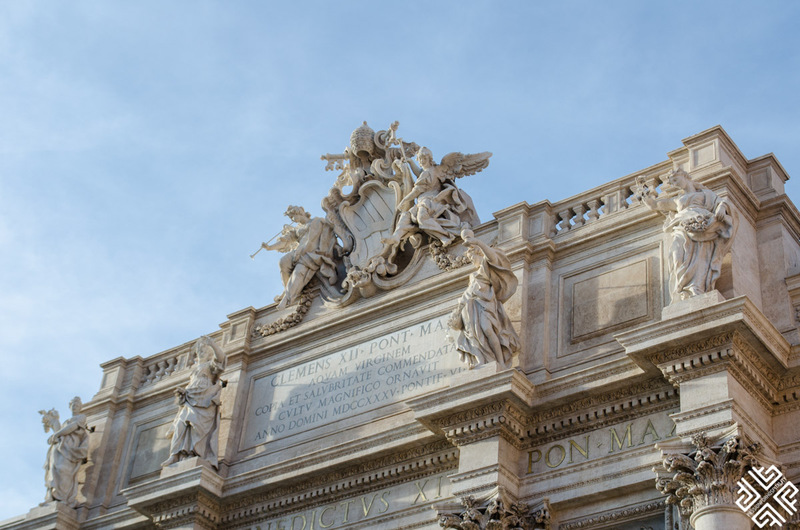 With unparalleled history and a cultural heritage that dominated the world for as long as possibly imaginable – Rome is a place you can go to that will never get old. 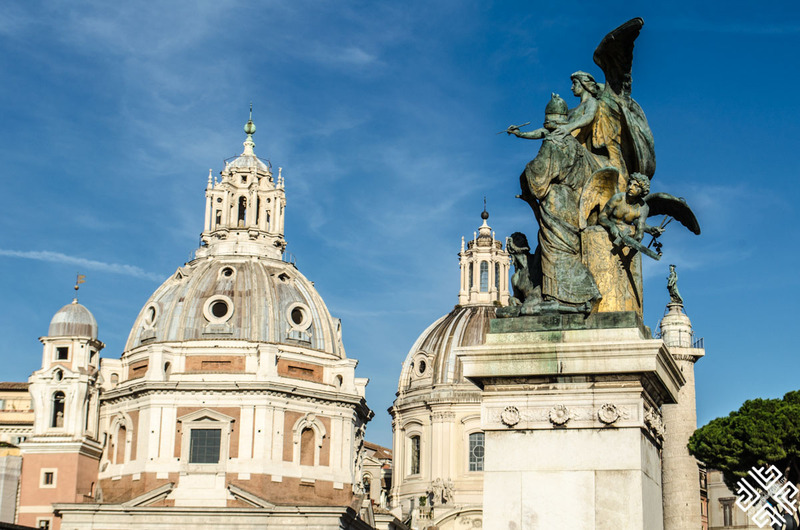 It’s where you can go to explore unreal piazzas, monuments, churches and how modernity seamlessly juxtaposes with the ancient. 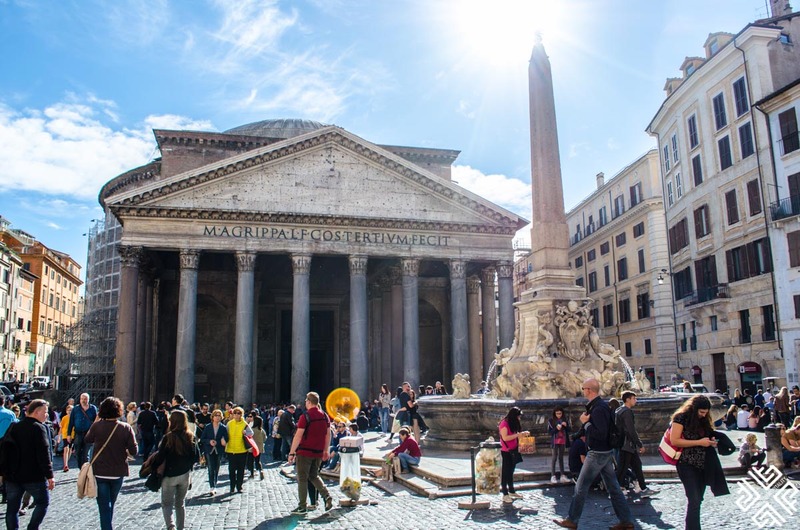 You’ll fall in love with how the city boasts countless treasures, how it’s seeped in history and myth and how every corner tells a legendary story. 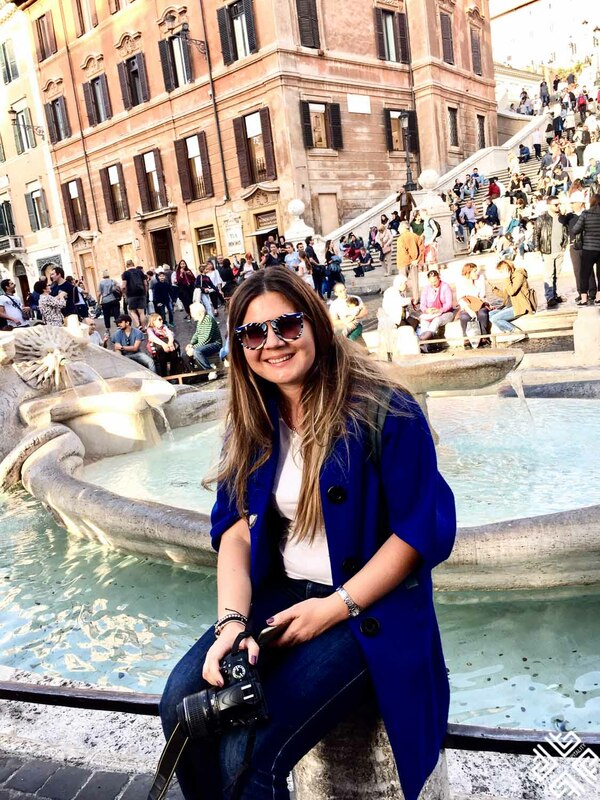 This was my third trip to Rome but no matter how many times you visit there, there’s always something new to discover every time. 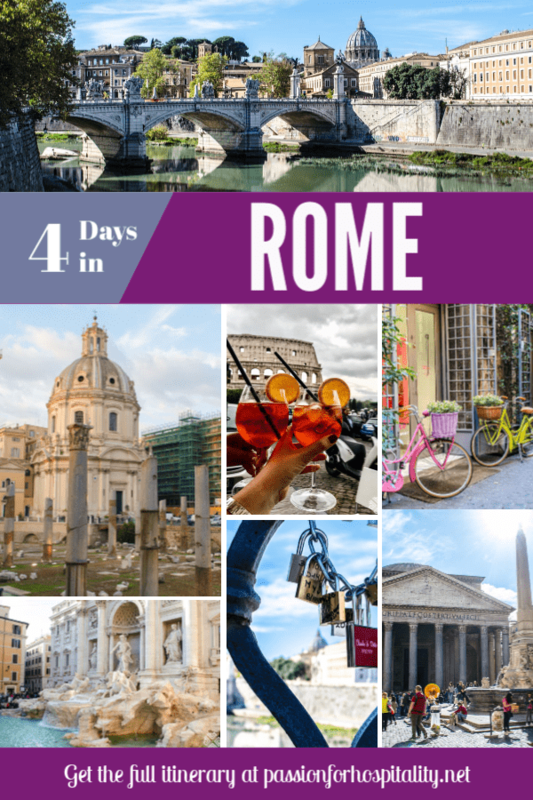 Here’s a 4-day Rome itinerary that will help you get around and check out the city the right way. 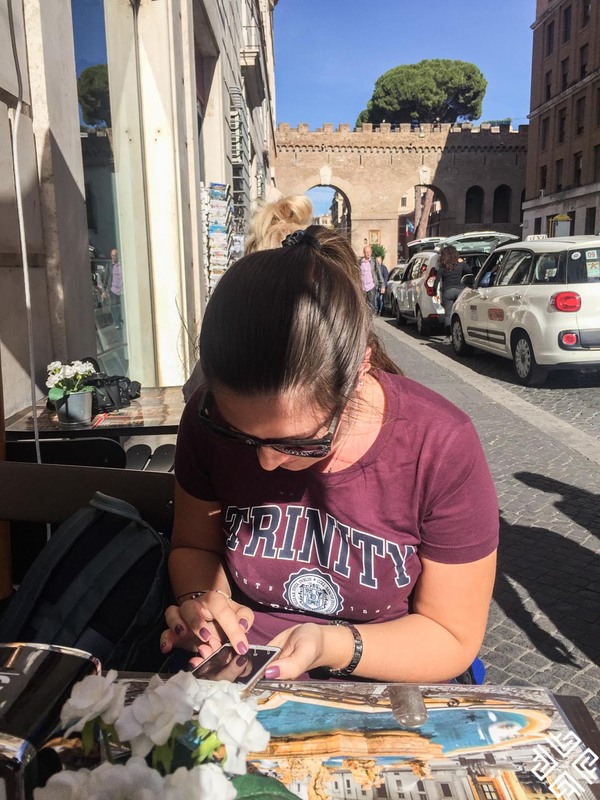 After arriving in Rome, spend some time in your hotel unpacking and settling down and getting to know the area around so you can prepare yourself for all the incredible things you’ll be seeing soon. 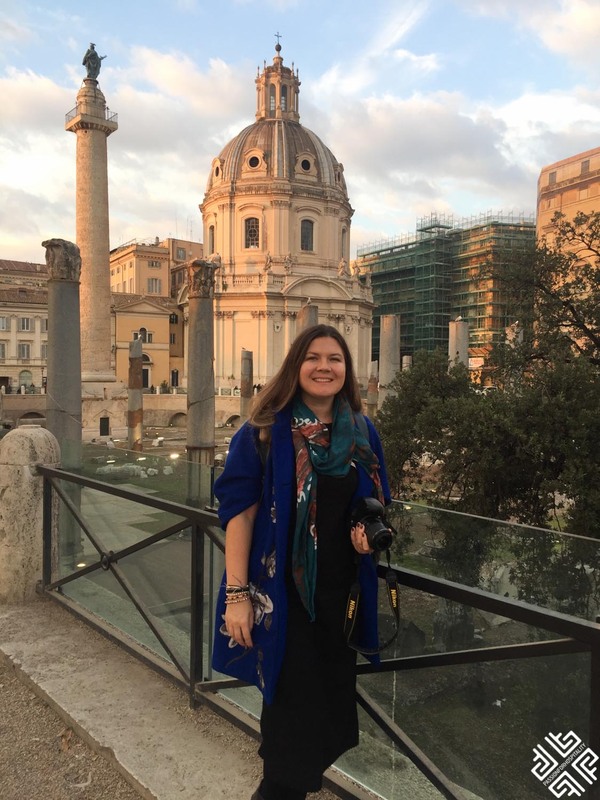 If you’re also reluctant and unsure about how you’re going to get from the airport to your hotel, I recommend taking the Rome Airport Transport (Ciampino Airport) since it will take you straight to the center and removes all hassle of actually getting there. 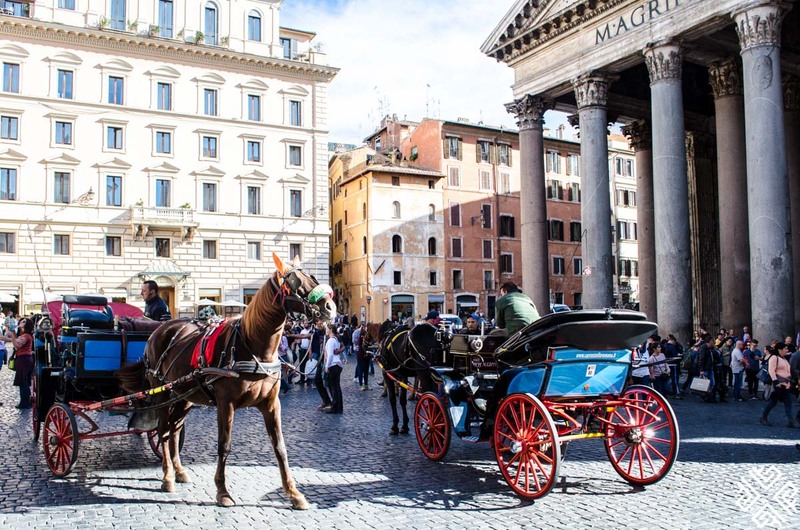 If you’re spending 4 days in Rome, you need to have this figured out before getting there so you don’t waste any precious time. 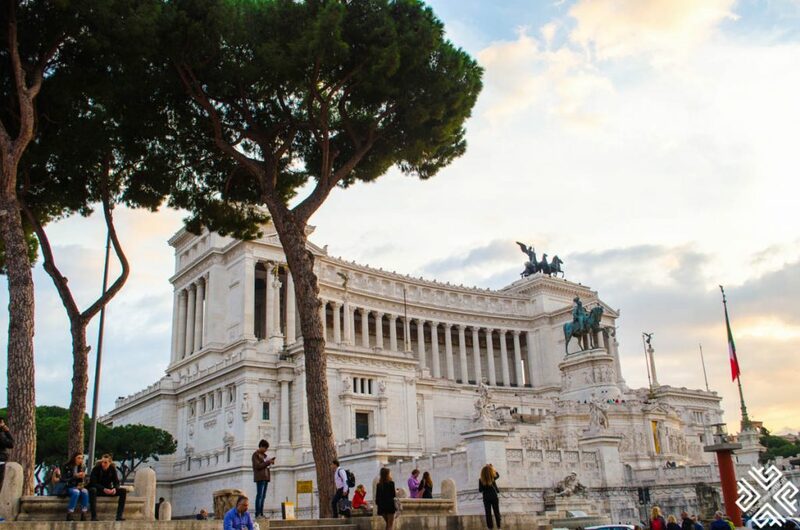 Start your first day by heading to Piazza Venezia – the pumping geographic heart of Rome. The best thing about this Piazza is its proximity to all the major attractions and there are plenty of shops to explore and even palaces and a hill. 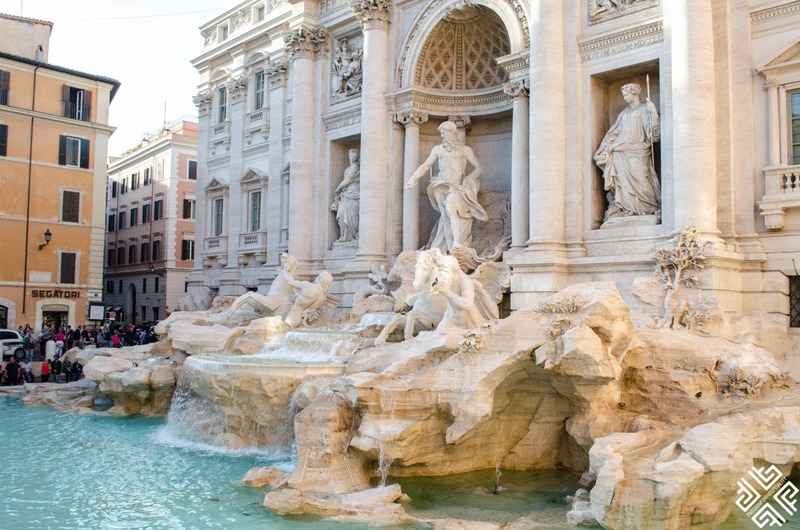 From there it’s time to walk to the infamous Fontana di Trevi. 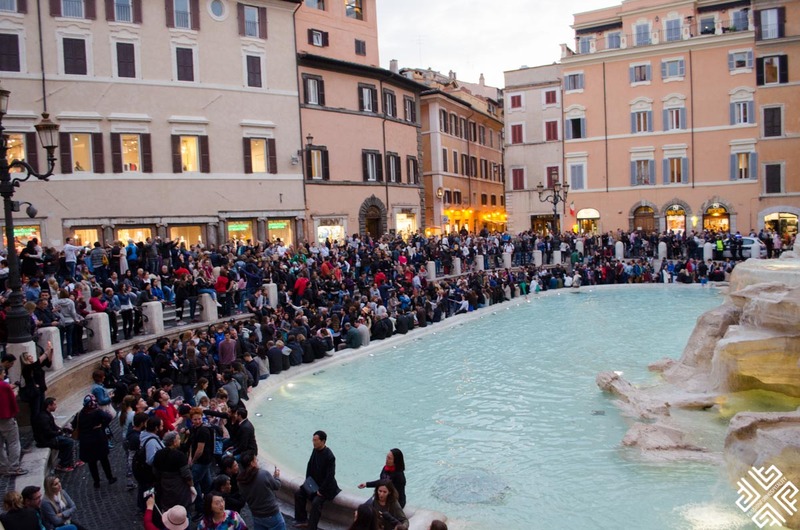 If you are wondering what to see in Rome in 4 days first you must visit the Fontana di Trevi which is one of the most iconic sights in Rome. You will have to walk through hundreds of people but nothing beats the beauty of the fountain and the way it emanates all-things-magic and fantasy. 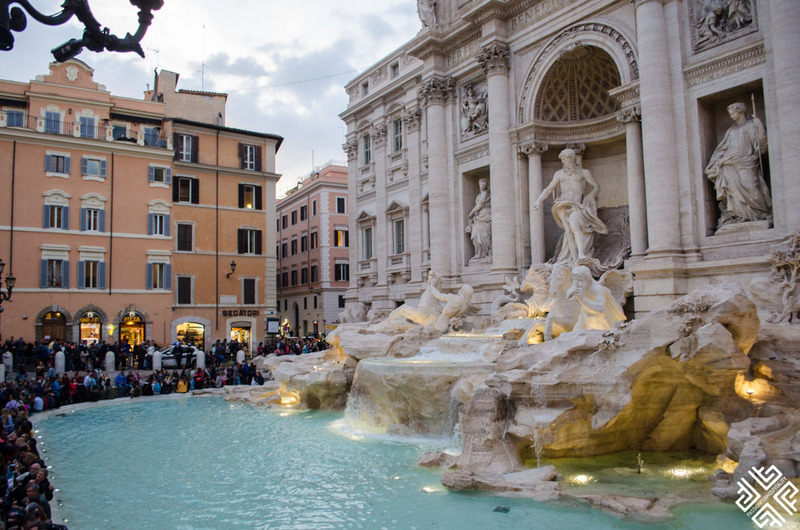 From the Baroque art to the Neptune statue to the figures all around, it will make you want to get to the front and take that iconic Fontana di Trevi picture! 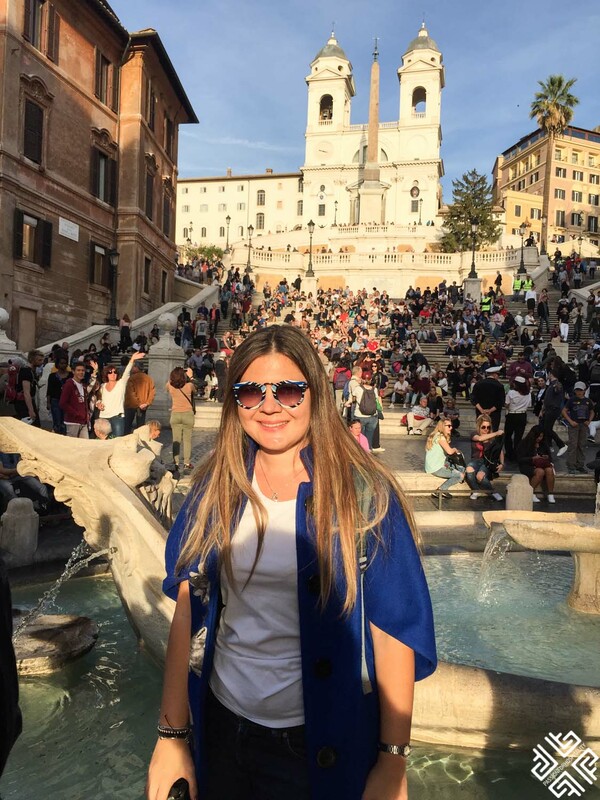 Head to the Spanish Steps after Fontana di Trevi and immerse yourself in the intoxicating energy and diversity of that place. 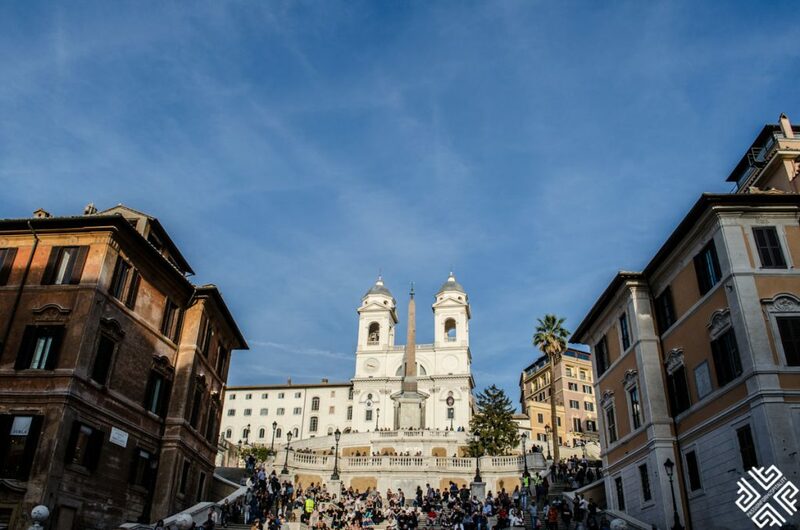 Thousands of people from all over the world all sit along the Spanish Steps together and it’s one of the most renowned staircases around the world. 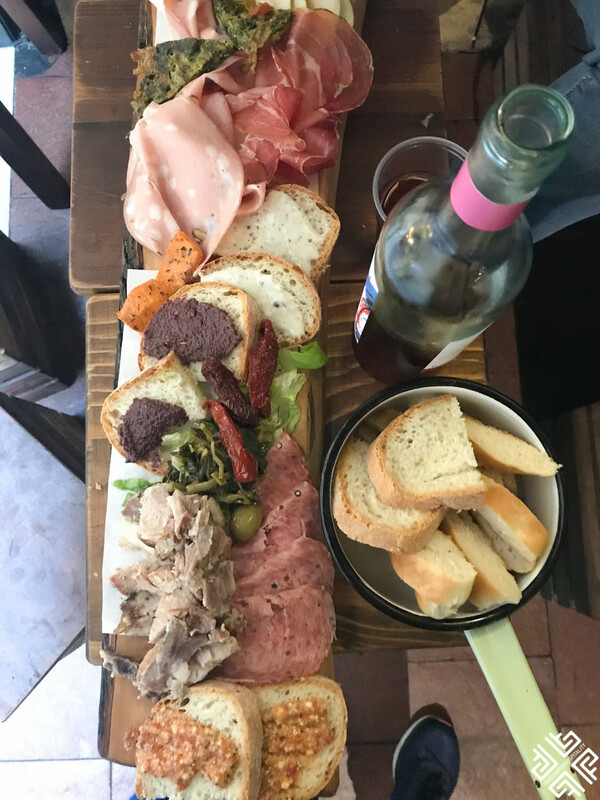 You can go there to have your evening aperitivo at La Prosciutteria which gives you such an authentic Tuscan experience. 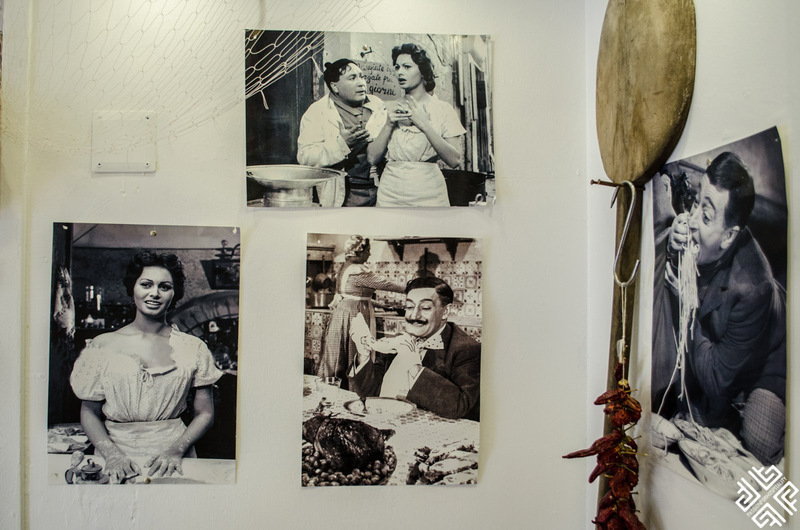 It’s a small cozy store that feels so quintessentially Italian! 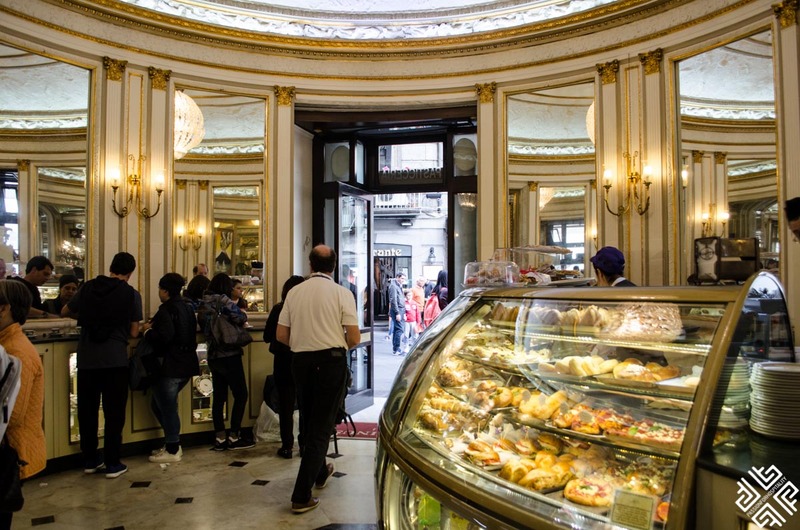 Now of course, you can’t go to Rome without trying the infamous gelato in the stores, and it only helps that there is practically one at every corner! 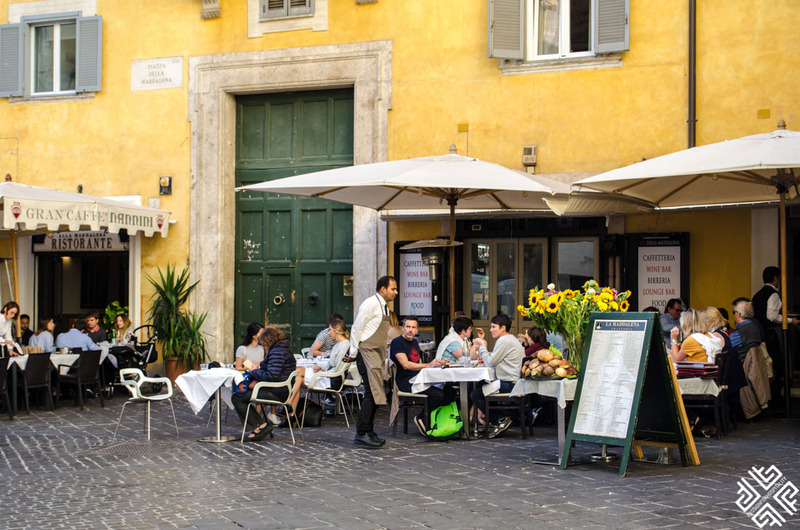 Take a relaxing walk, try great gelato and spend your evening exploring nearby cafes and restaurants. 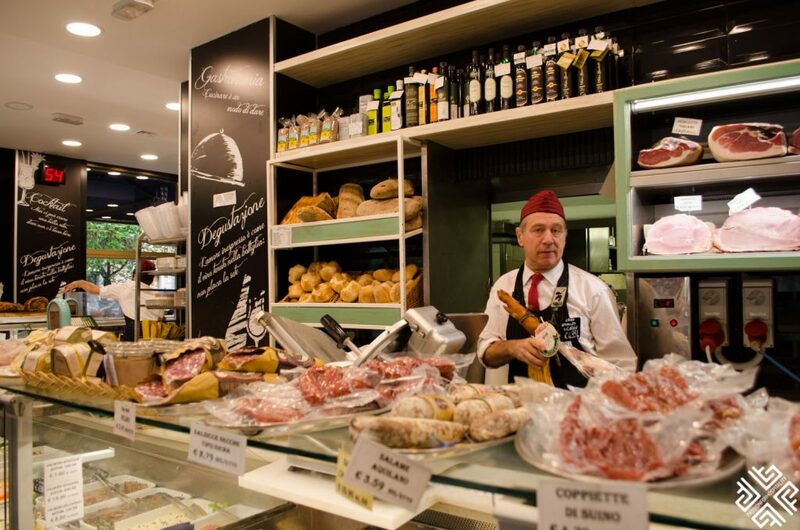 The next day to head to the elegant Vatican Area to have a food tour at the Prati neighborhood. 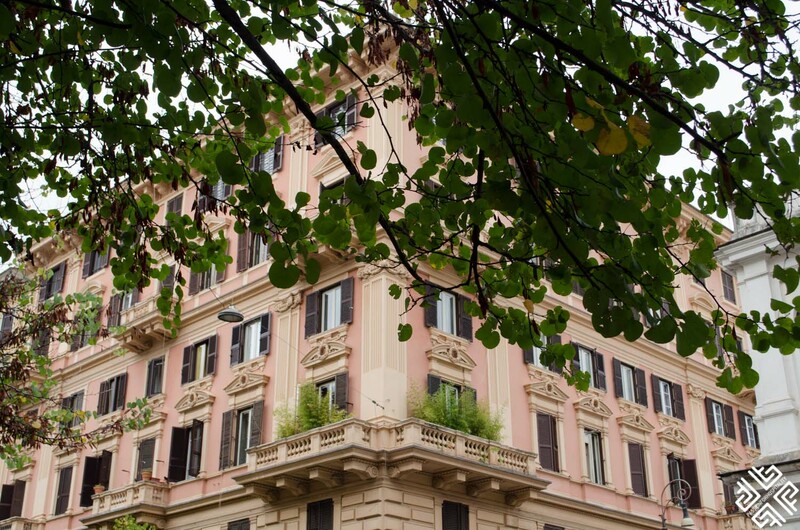 Winding streets with elegant buildings, and a lot of greenery – the neighborhood is a lot of fun to explore. 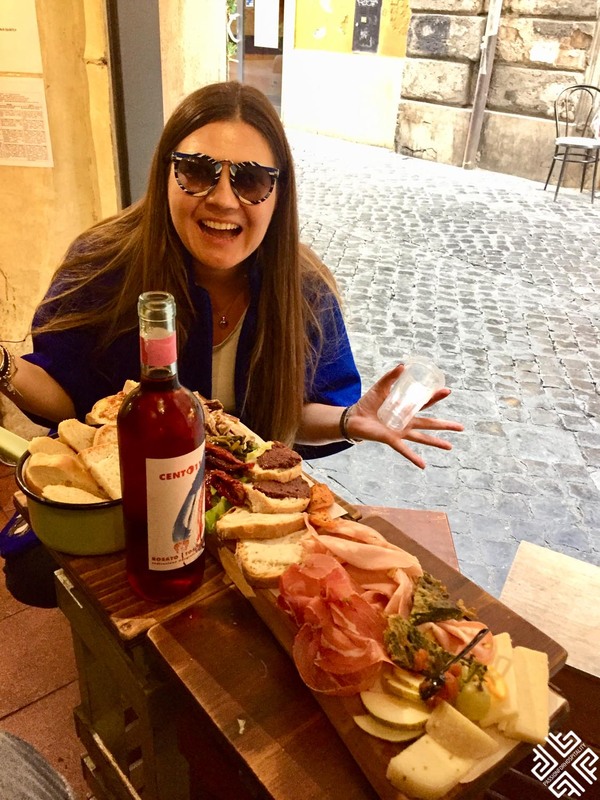 Take a 2.5 hour food tour called the Vatican Area tour which starts at 10 am so you have enough time to explore around later on by going to the Vatican. 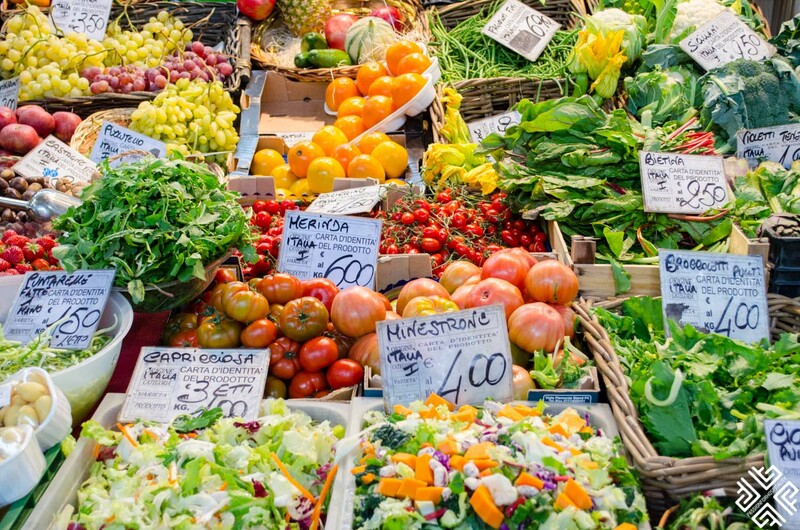 First, you’ll be starting your tour with a delicious cup of coffee and will then move forward to a delicious food journey – from Sicilian cuisine to Italian delicacies to traditional gourmet and food markets. 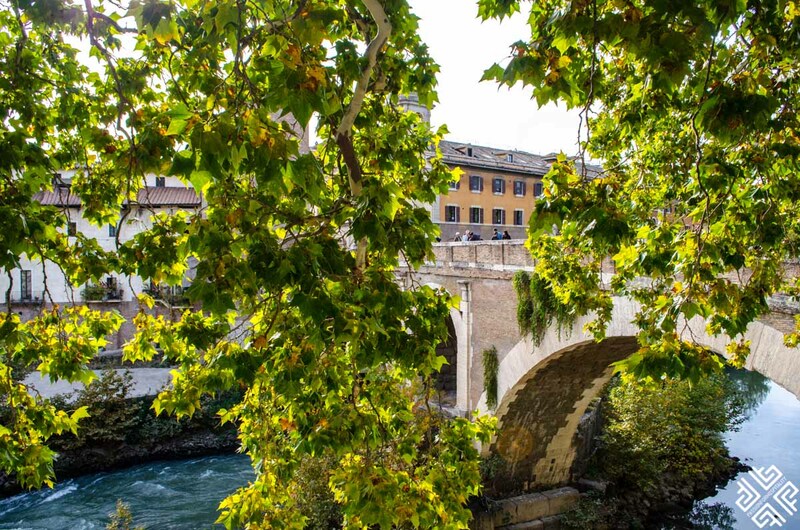 After you’re done with the food tour, walk down the Ponte Principe Amedeo Savoia Aosta and walk towards the Colosseum. 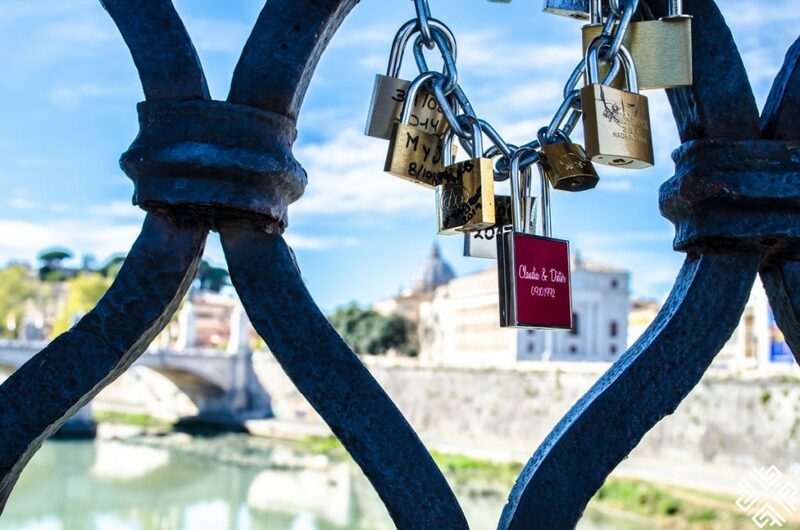 Now you’ll be visiting the most important attraction in all of Italy. One with remarkable fame and majesty that is hard to compare. 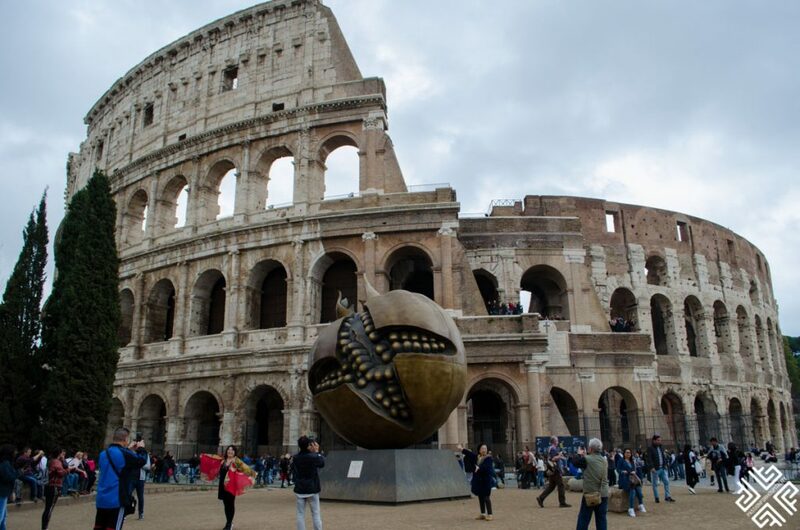 As symbolic as the Eiffel Tower, the Colosseum represents the heart of the Ancient World and reflects its grandiose. 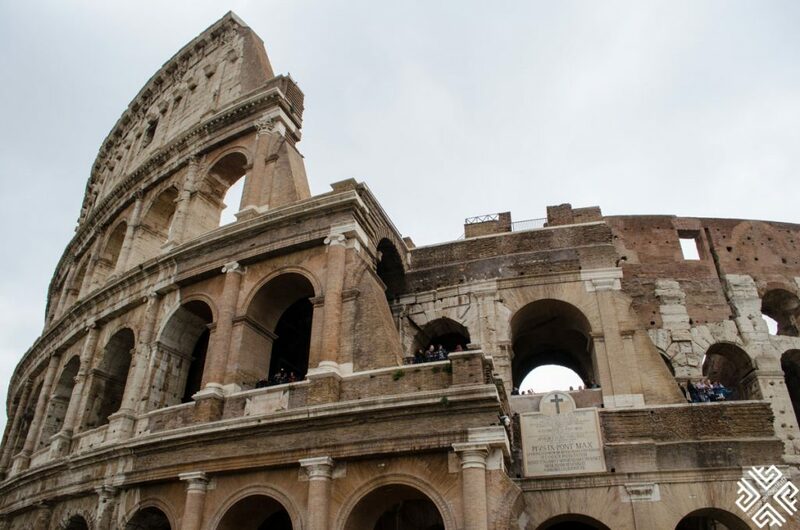 With a rugged outside look – the Colosseum is the epitome of gore that represents glory. 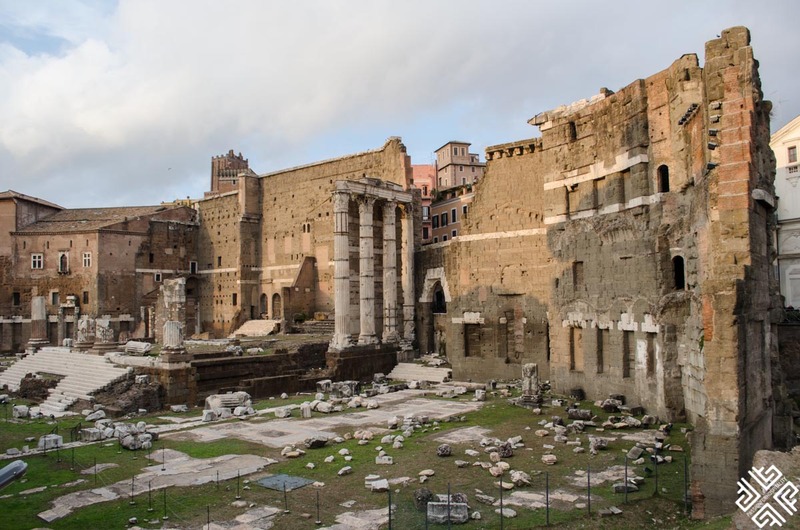 Walk around, explore the 2000 years worth of history and learn about the stories that happened there. 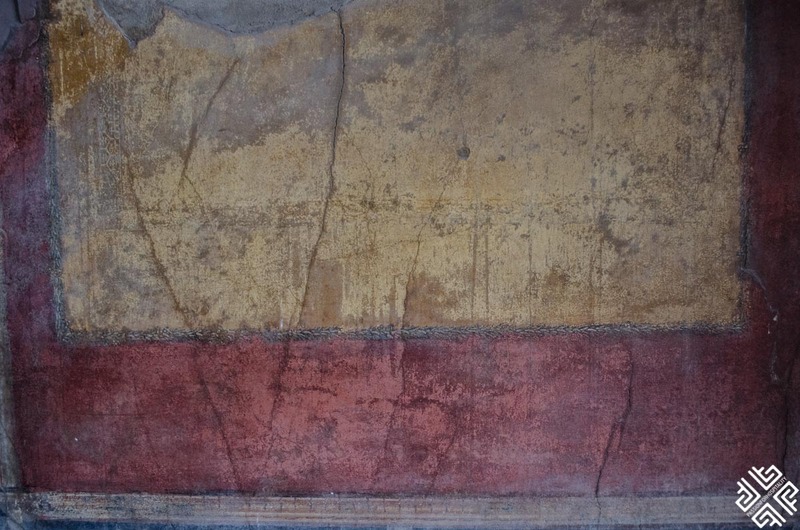 I recommend taking the Colosseum Tour where you’ll be skipping the line and actually learning about it with a professional tour guide. 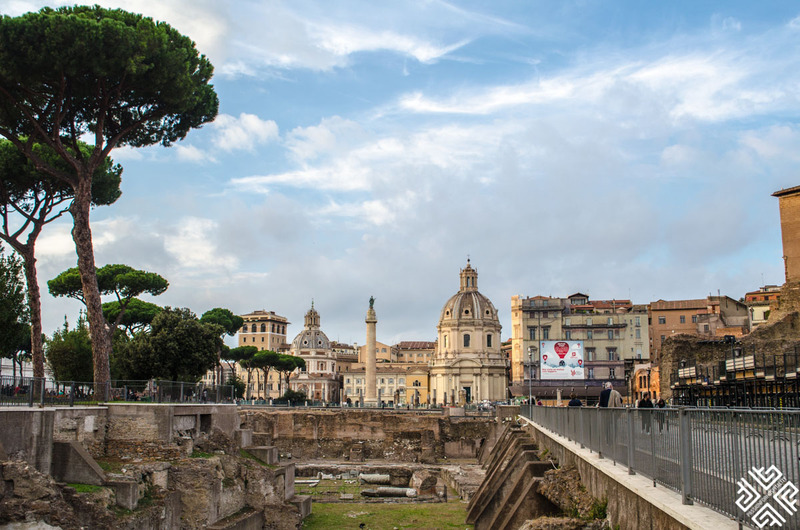 You’ll get a quick gist of the history of Ancient Rome and then you’ll walk the same footsteps that the Ancient Romans walked and will learn more about how life worked back then. 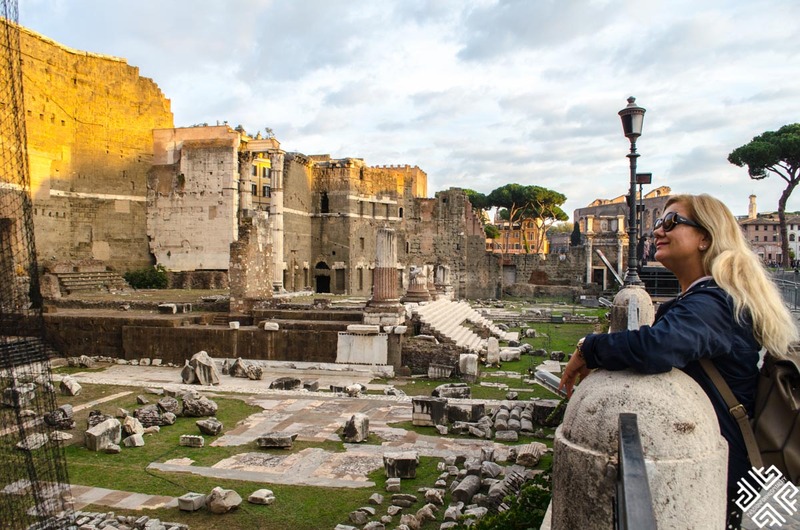 After that, head to visit the tomb of Julius Caesar and hear all about the legends and stories perched in the nooks and crannies of the Colosseum. 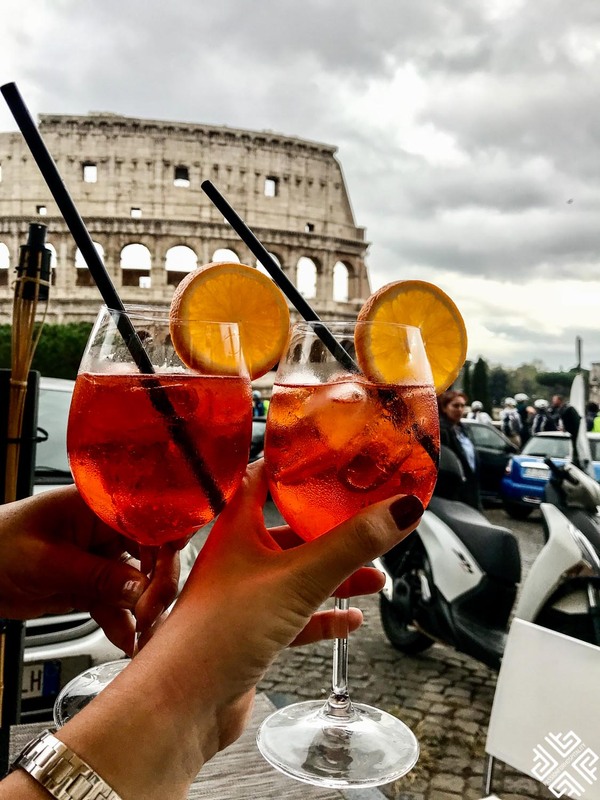 End your day by having an Aperol Spritz or a refreshing drink while overlooking the Colosseum and pair that with a relaxing quiet dinner in the area. 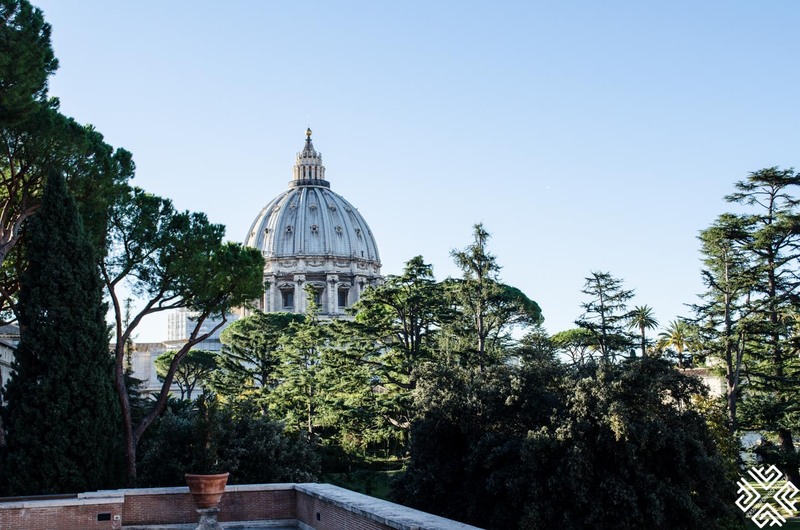 There is no doubt that the Vatican is one of the most famous attractions in not just Italy, but in all of Europe as well. 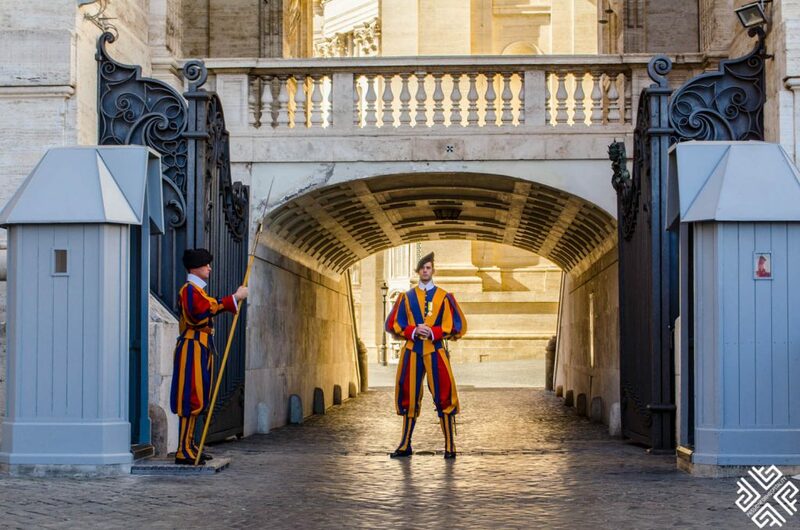 The smallest country in the world boasts a magical, holy vibe that is felt the minute you enter. 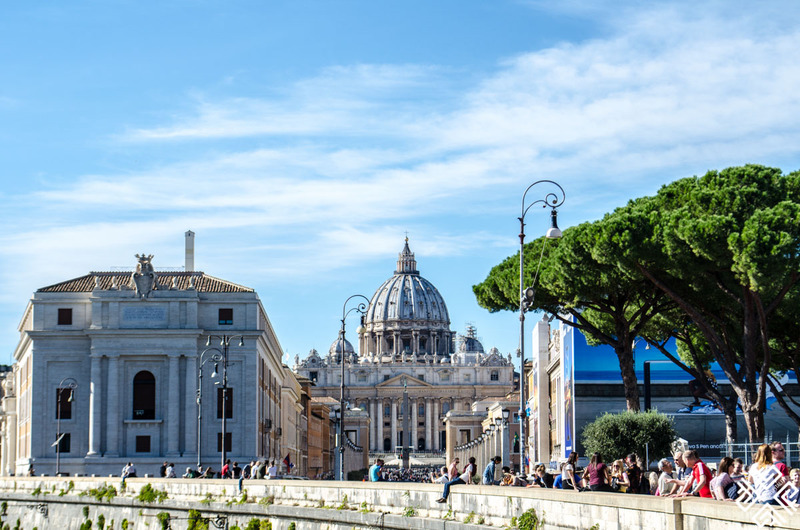 It’s a place that boasts an incredibly rich culture and heritage – with lavish churches, gorgeous galleries and sprawling gardens. 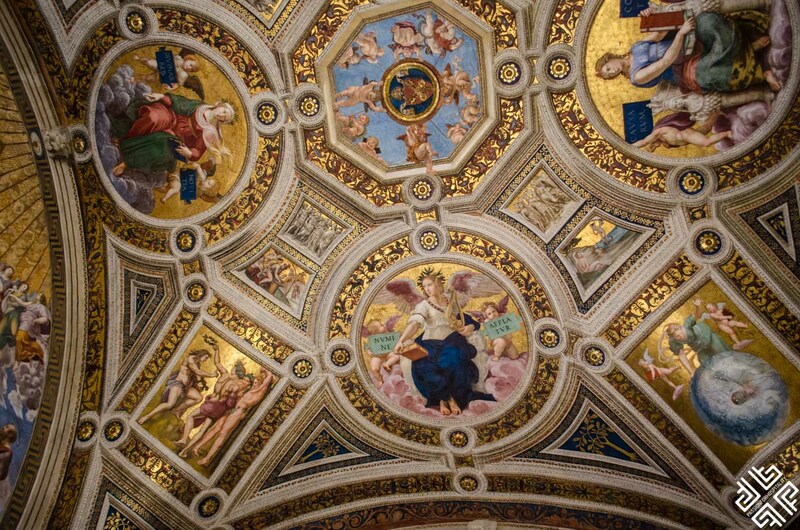 From the Vatican Museum to the Sistine Chapel to St Peter’s Basilica and climbing the dome…There is plenty to do there. 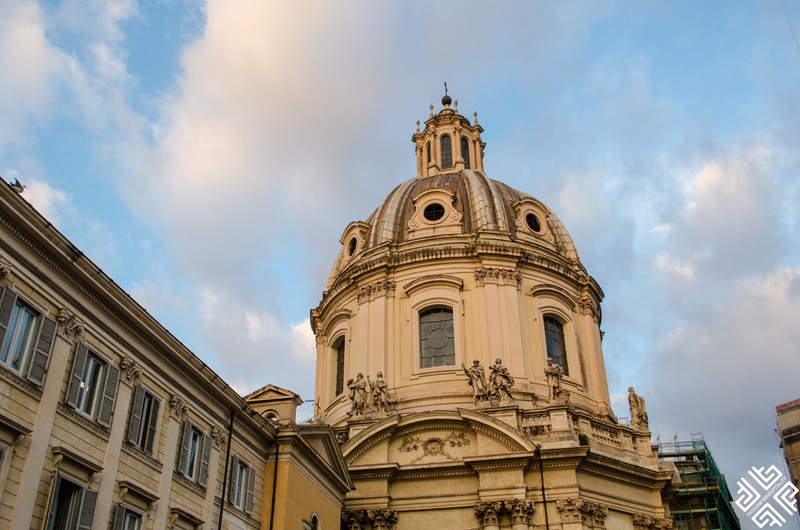 I recommend taking the Early Morning Vatican Small Group Tour with LivItaly Tours where you’ll be moving at the first light of dawn to the entrance of the Vatican Museum. 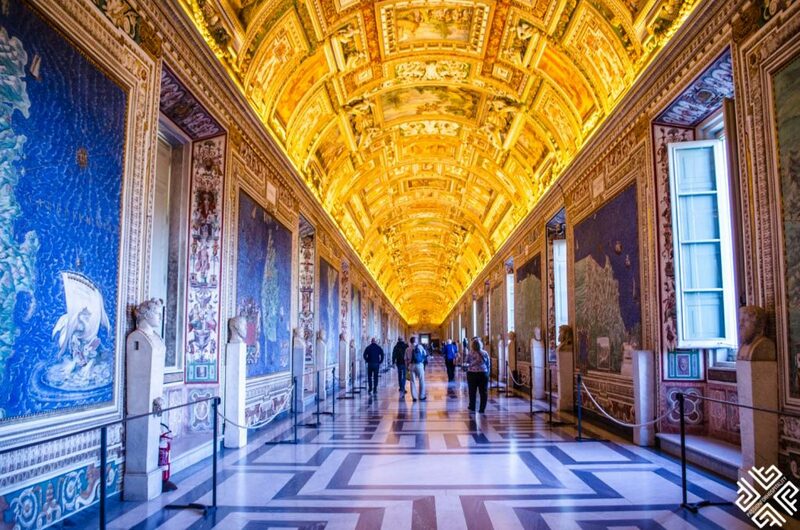 You’ll visit the Sistine Chapel, the Gallery of the Candelabra, the Gallery of Tapestries and the gallery of maps with courtyards and a lot more. 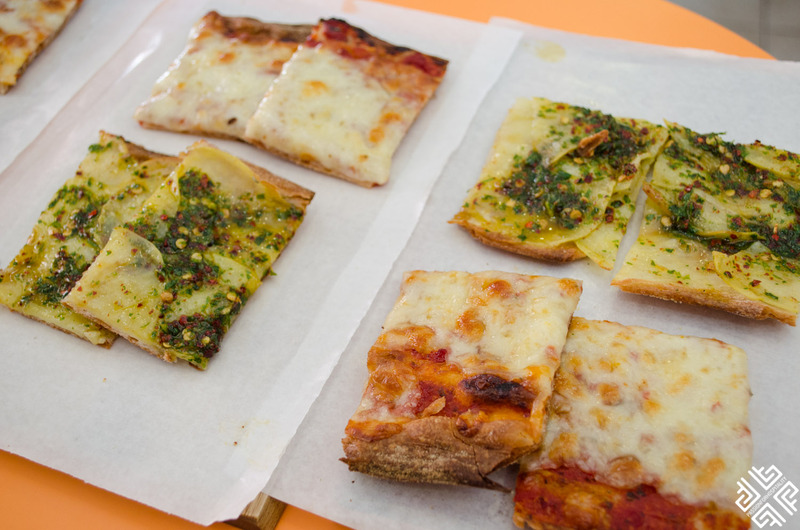 After that it’s only fair to have a pizza lunch and coffee next to the Vatican to end your Vatican trip. 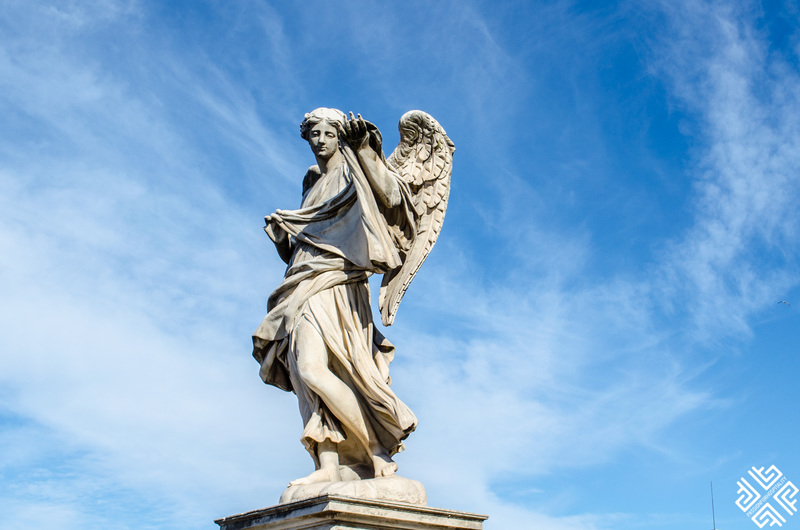 Walk across the bridge of Angels where you’ll be met with strikingly beautiful angel sculptures that adorn the bridge in gorgeous marbles. You’ll find symbolism, and narrations of the story of Jesus Christ’s suffering and death. 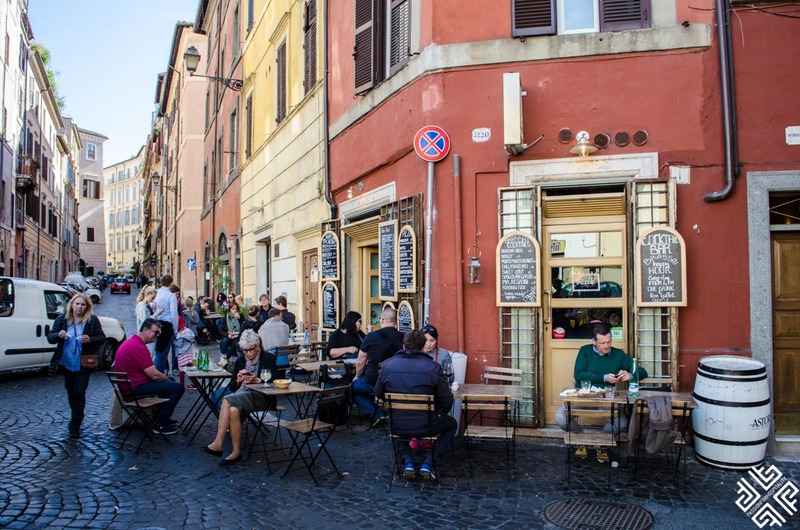 Hidden off the Piazza Navona, this strict is so perfectly local and peaceful. 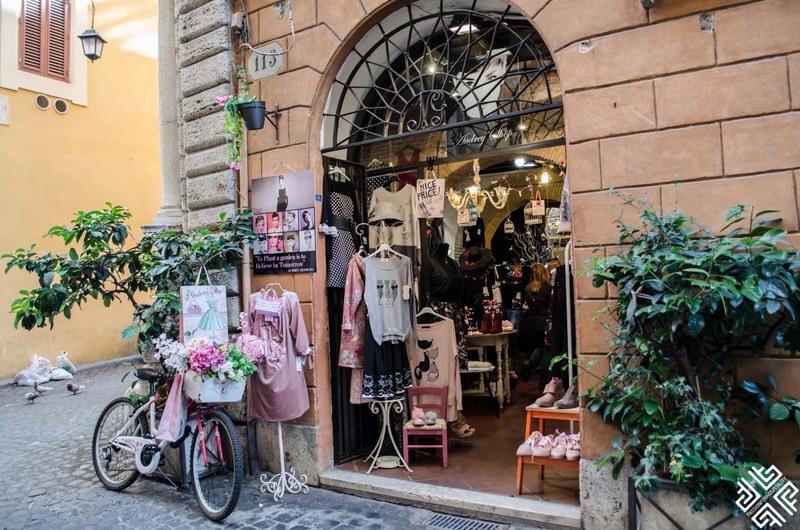 Old stores that sell antiques, little Italian cafes, and a quintessential Italian vibe. 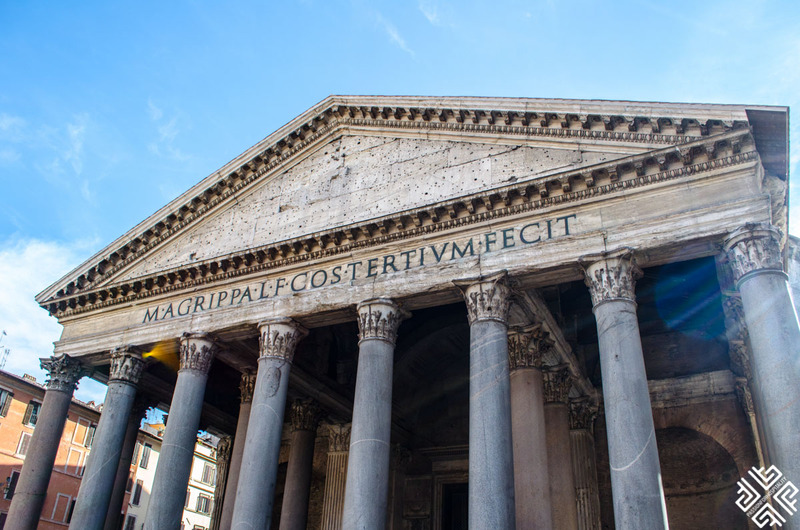 After you’re done walking around, head over to the Pantheon! 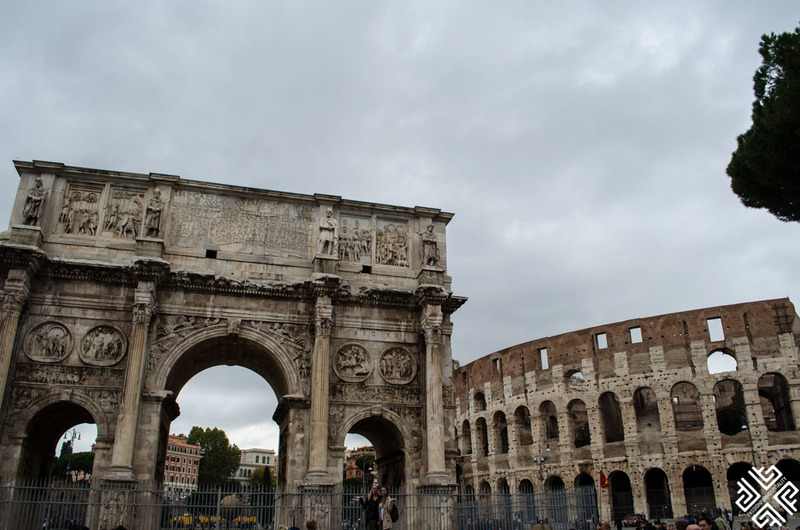 This is by far the most well preserved building in all of Rome and is the largest concrete structure in the world. Just standing in front of it is a humbling experience and is definitely one of the wonders that have shaped architecture. 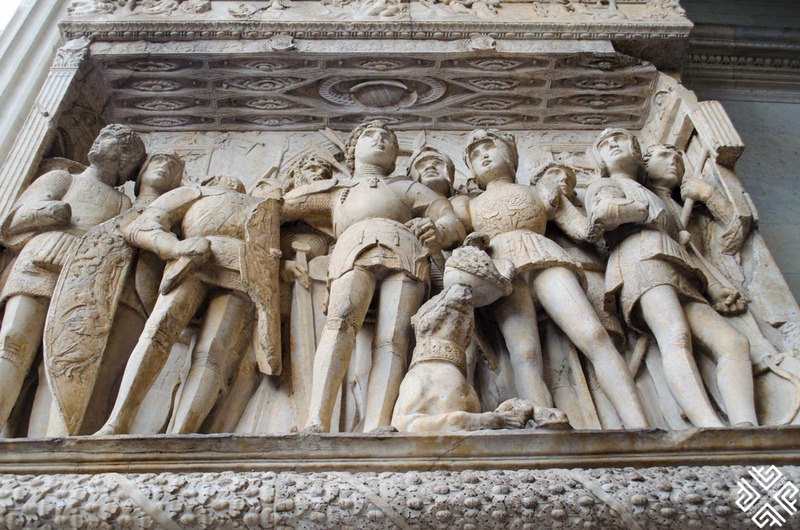 Gorgeous interiors juxtapose with the exterior to create a monument you have to visit. 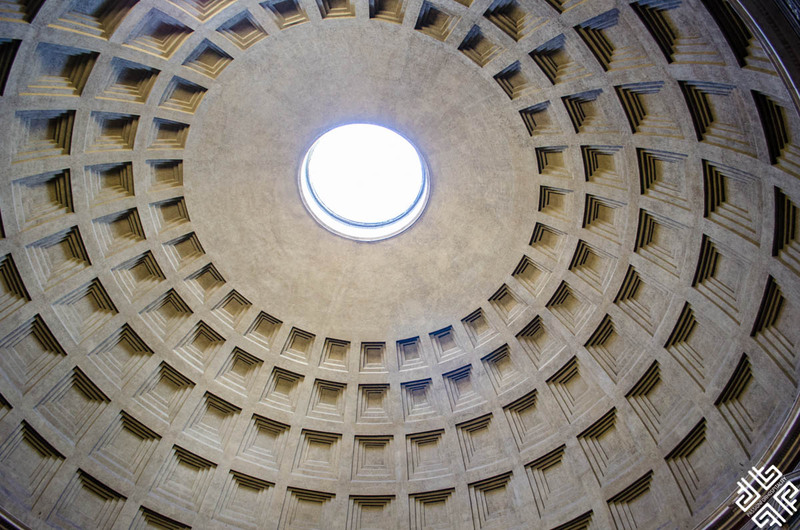 Make sure to check out the oculus inside which is the only source of light in the building. 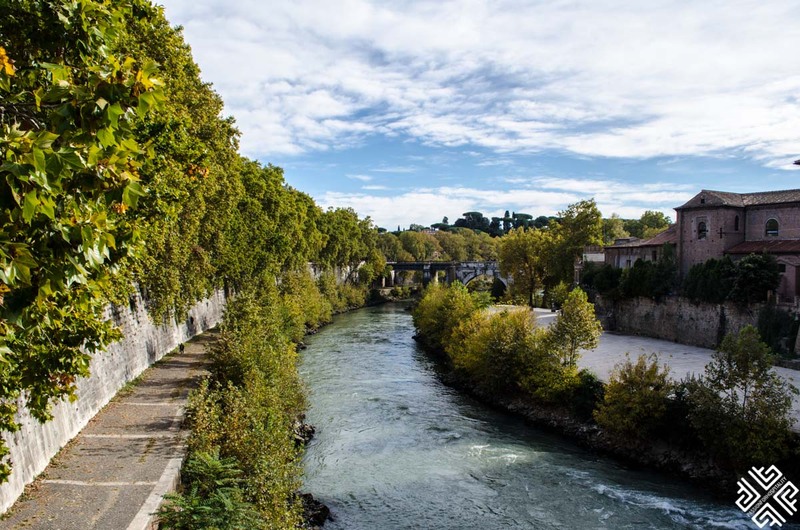 Have an afternoon sunset walk by River Tiber, watch the graffiti and take in the beautiful weather of Rome. 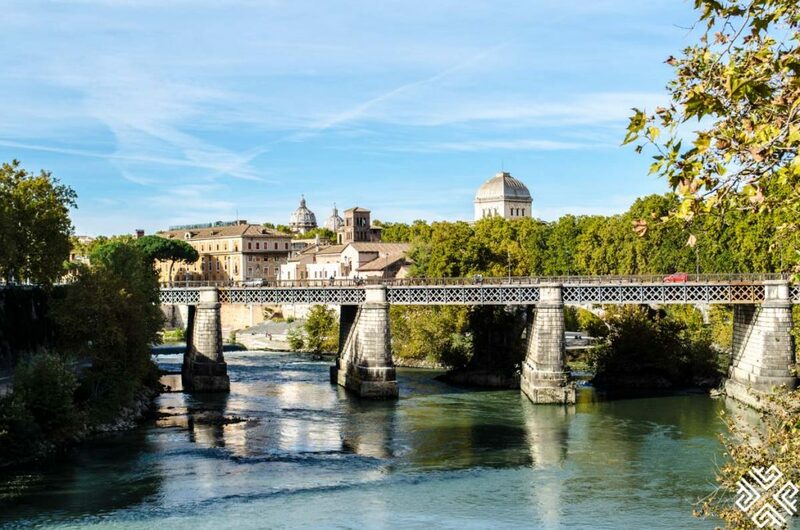 If you wish to discover more of Italy, you can also opt for one of the day trips from Rome. 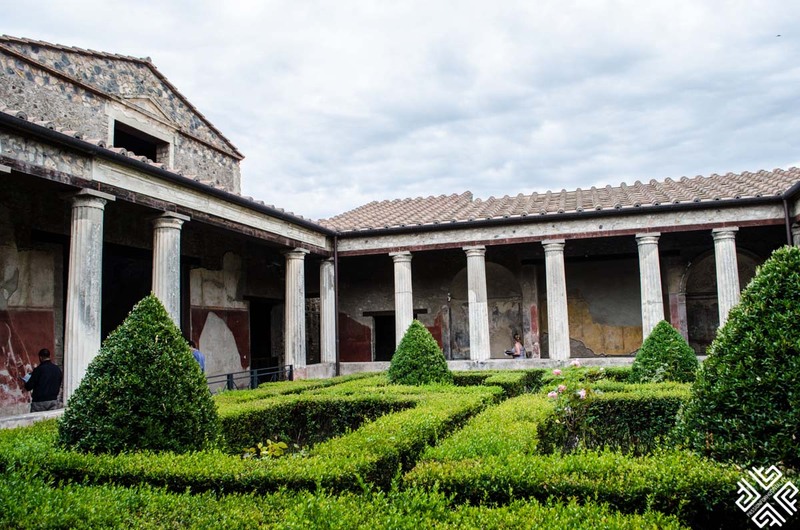 For the fourth day I recommend going on a day trip to both Naples and Pompeii, as they’re quite close to Rome and are definitely worth seeing. 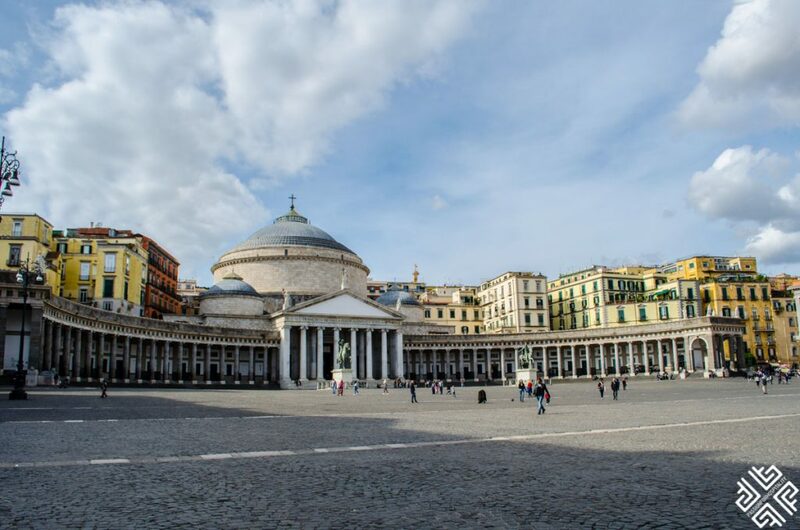 Your first stop will be Naples. 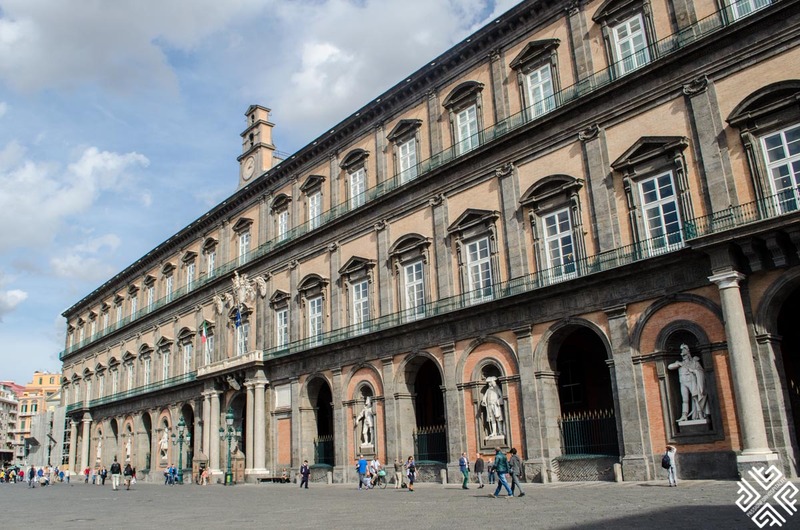 Naples is a vibrant city filled with colors, versatility, diversity and artistic heritage and a sort of Italian raw energy to it. 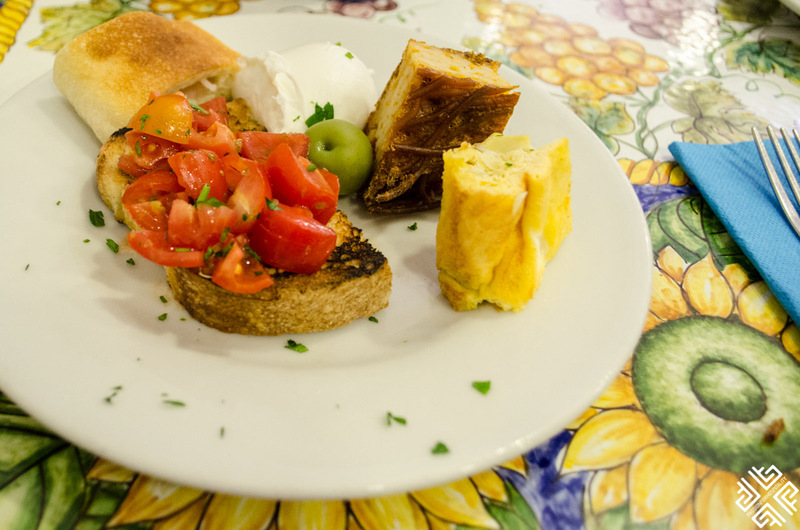 It’s where you go to taste Italian delicacies, and be in a place less-ridden with tourists. 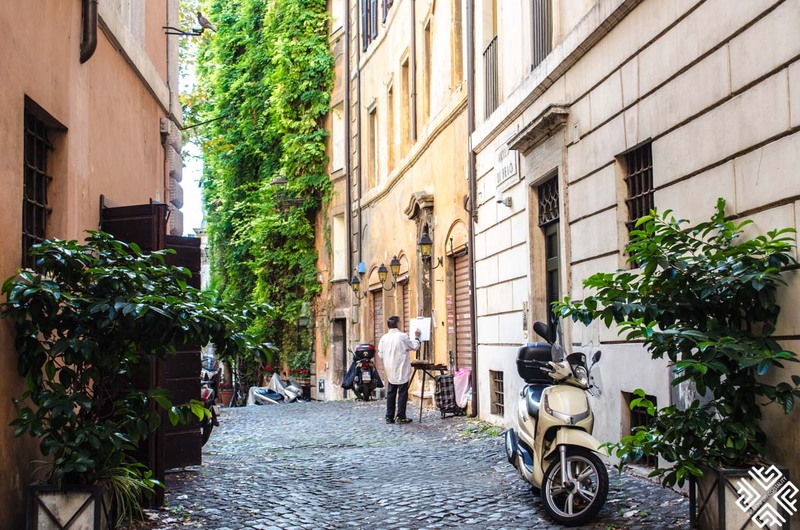 There’s no doubt that walking the streets there will make you feel like you’re in a movie. 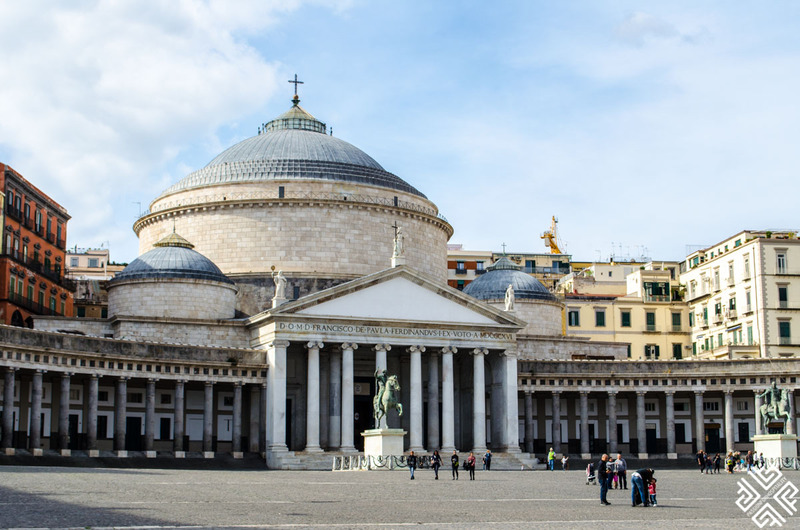 First thing you should do is head over to the Piazza del Plebiscito – a piazza from the 19th century that boasts a royal palace, neoclassical buildings and a church that was built on the model of the Pantheon! 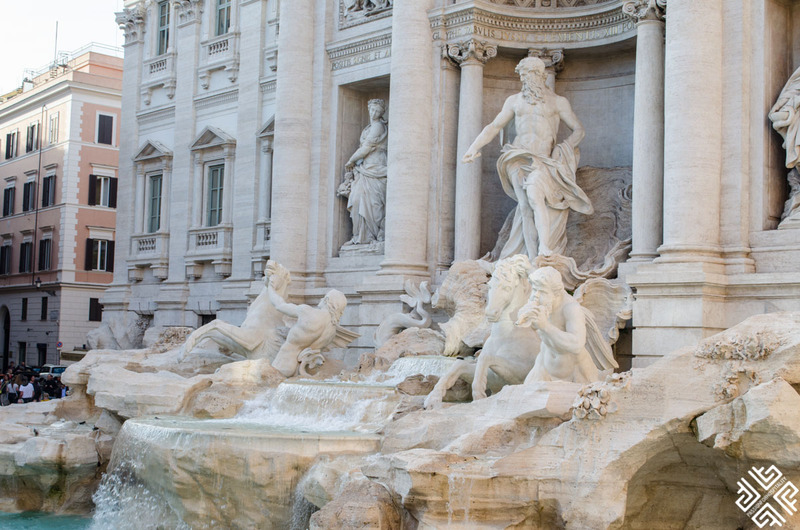 You’ll find statues, fountains, and much more. 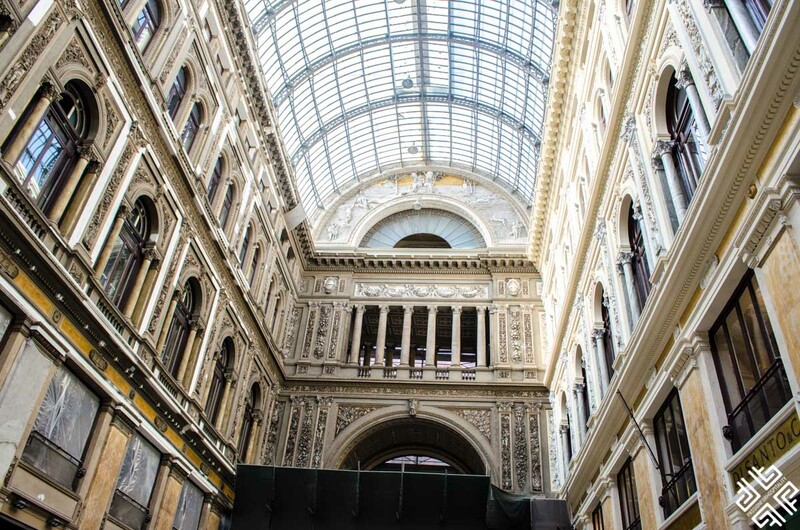 It has a certain grandeur to it and it only helps that it’s the buzzing heart of the city. 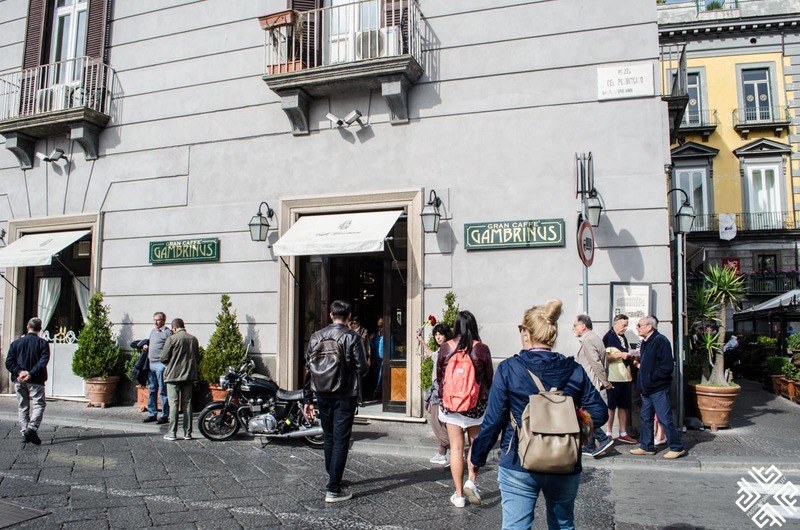 On your tour you will pass through the Caffe Gambrinus. 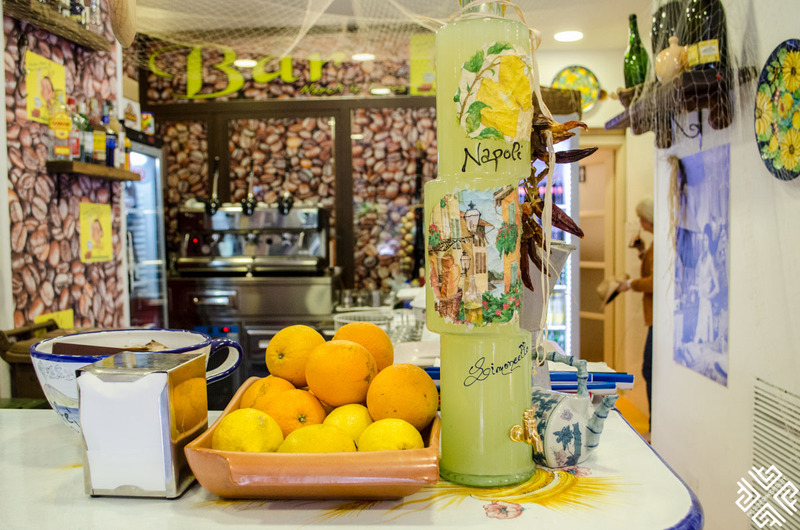 It’s one of the most beloved cafes in naples, and for a good reason. 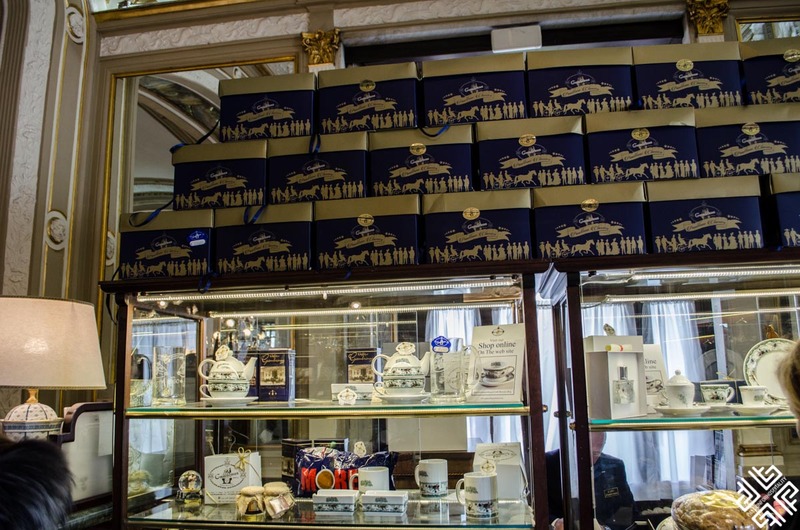 Located right in the heart of the city, it has slowly turned from a normal cafe to a historical attraction that serves traditional frothy espressos and drink combinations. 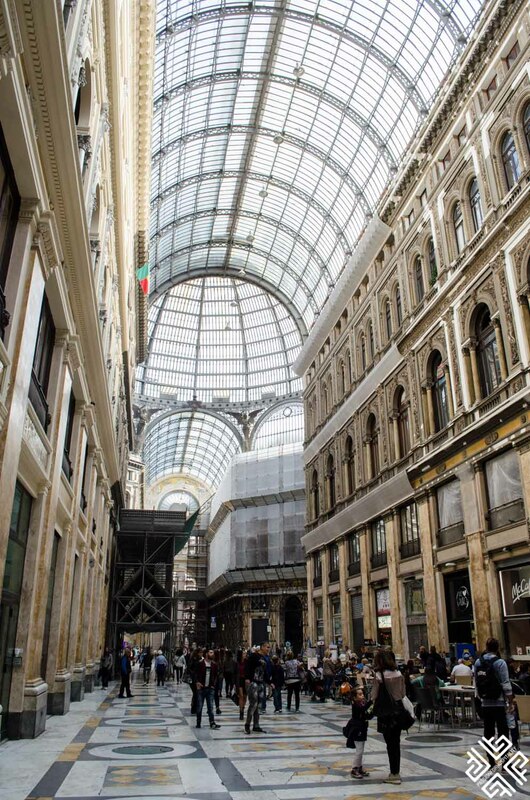 On the next stop we visited the Galleria Umberto – a shopping center unlike anything you’ve seen before. 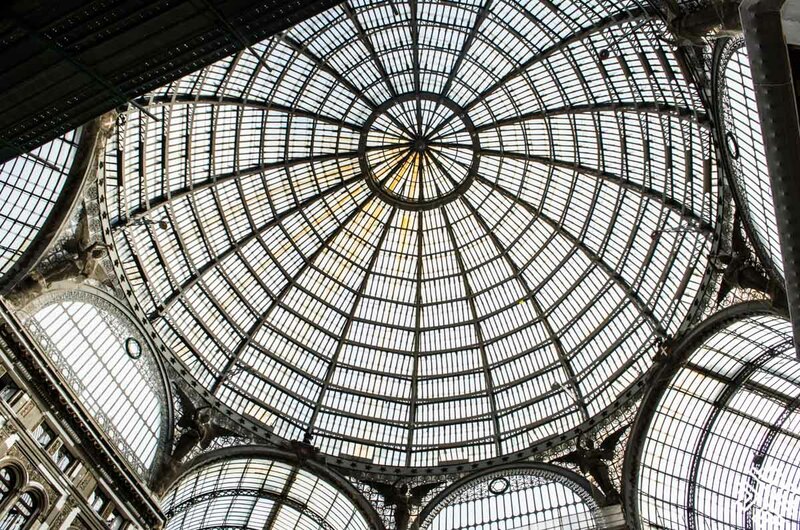 Grand and magnificent, the building soars distinctly into the sky with 19th century architecture and plenty of shops. 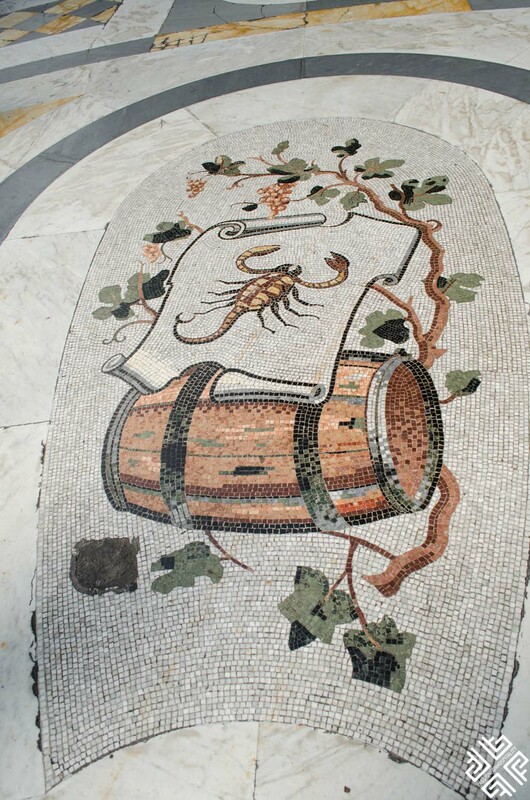 Don’t forget to check out the exquisite floor of the mosaic zodiac signs right in the middle of the Galleria. 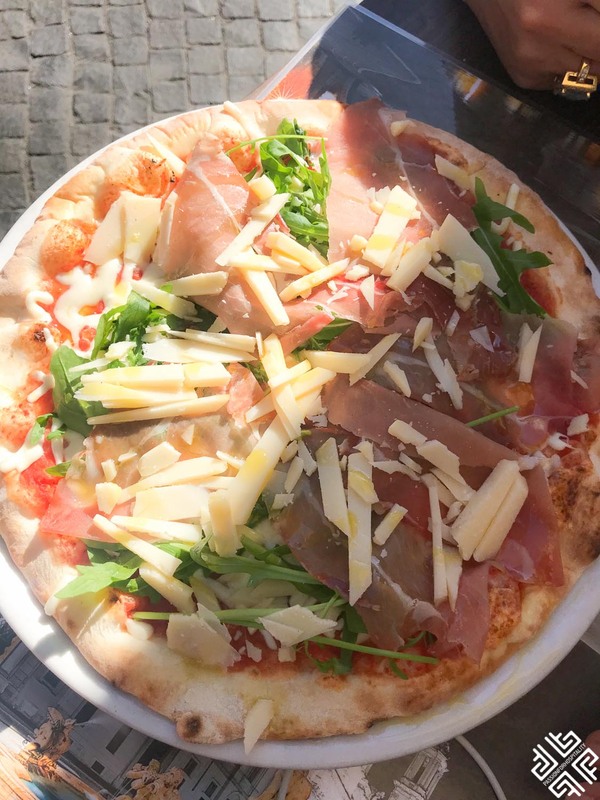 You’ll then head to the Pizzeria Trattoria with the tour where you can enjoy a selection of antipasti, followed by a choice of pizza or spaghetti, and taste some local-made food that will be hard to compete with anywhere in the world. 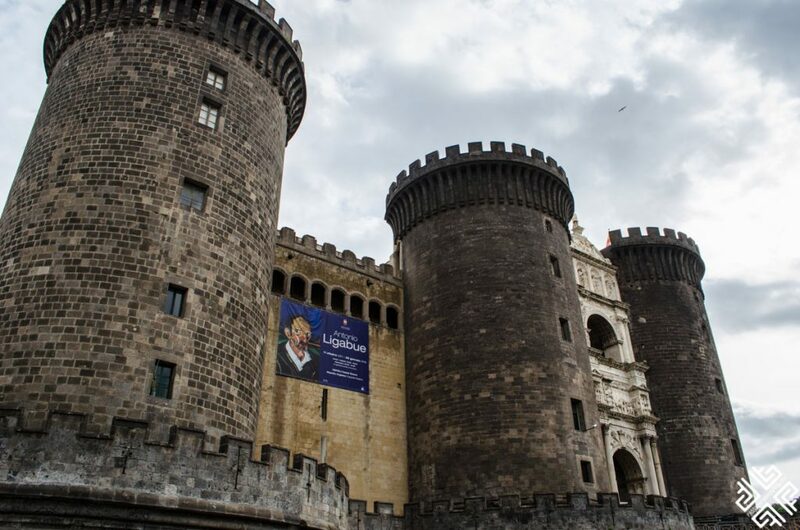 This fascinating castle takes you back to the time of Italian and French monarchies, preserved monuments and kings and queens. 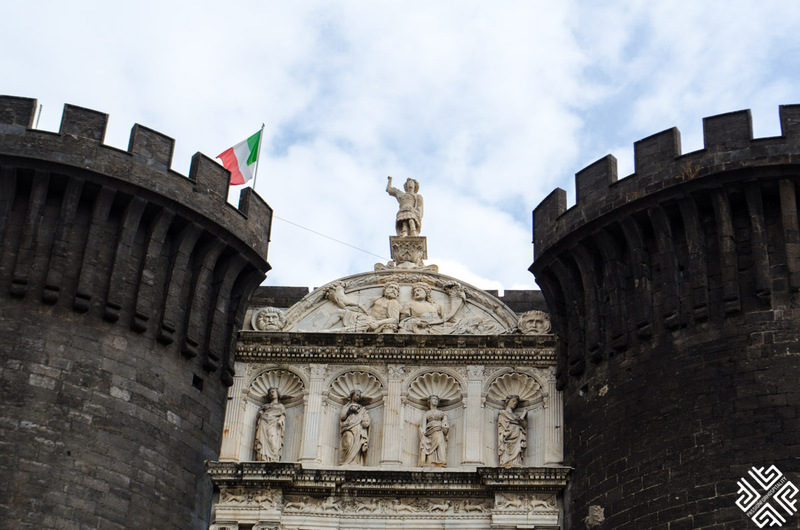 The triumphal entrance arch is by far the most impressive part of the castle, but it’s also worth checking out the courtyards, the halls, the glass floors, and the huge photographs. 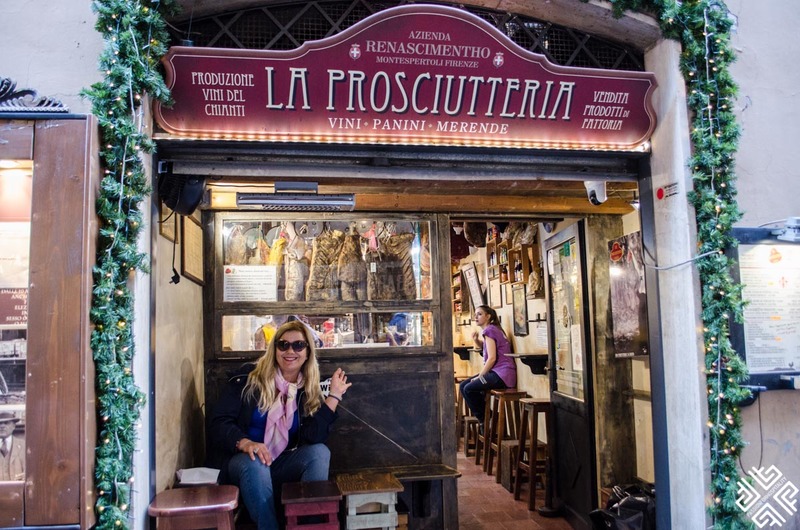 Check out this Southern Italy Road Trip post on how to travel from Naples to Sicily. 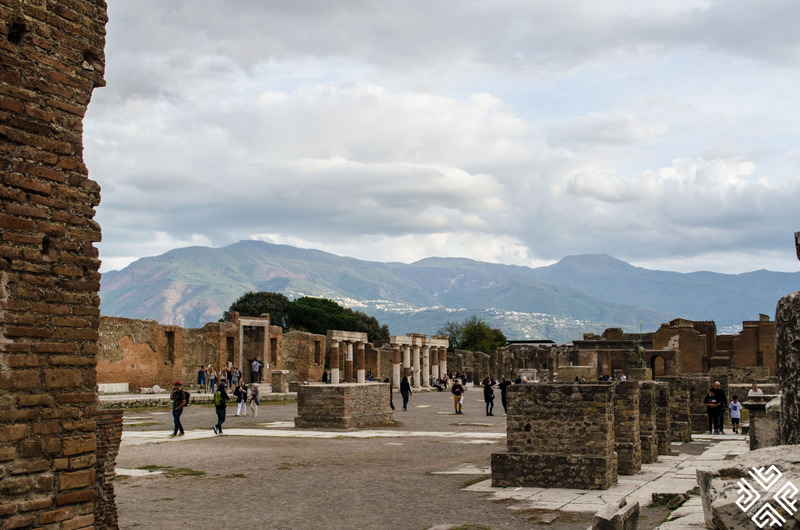 End your trip with the ultimate bang by heading to Pompeii and exploring the Mount Vesvuis, the summits of Pompeii and the Bay of Naples. 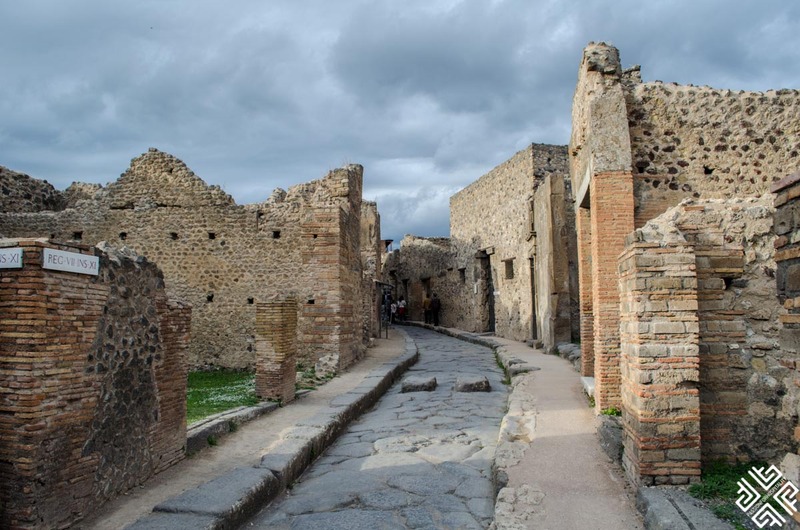 Being in Pompeii feels like stepping back in time where you’ll find compelling archeological sites, and a haunting vibe that dominates the city. 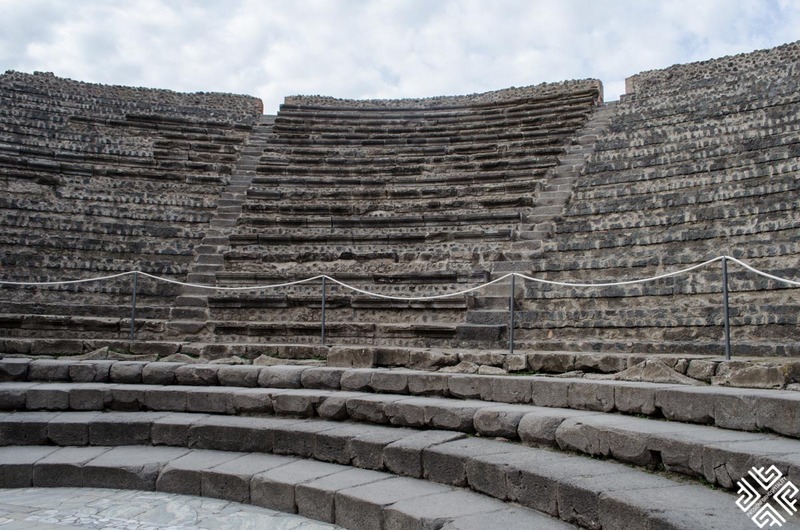 It was ruined in A.D 79 by Mount Vesvuis and it won’t be hard to imagine the damage that this has caused 2000 years ago. 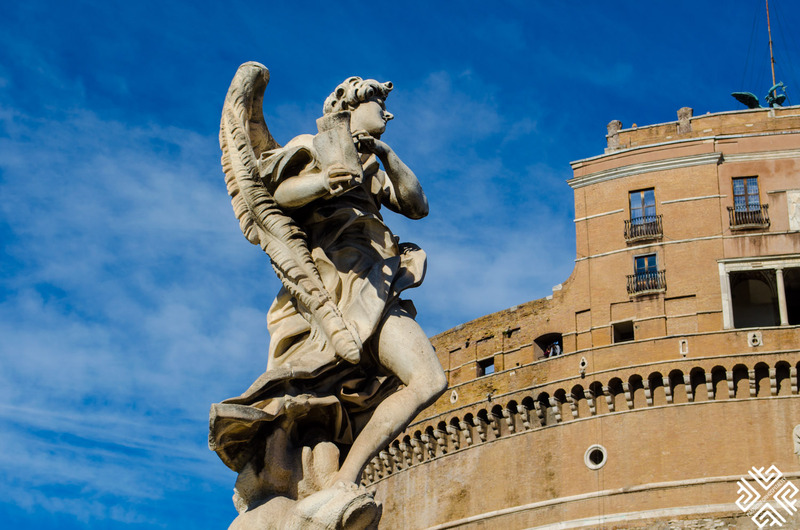 This UNESCO World Heritage Site is one of the most impressive attractions in Italy. 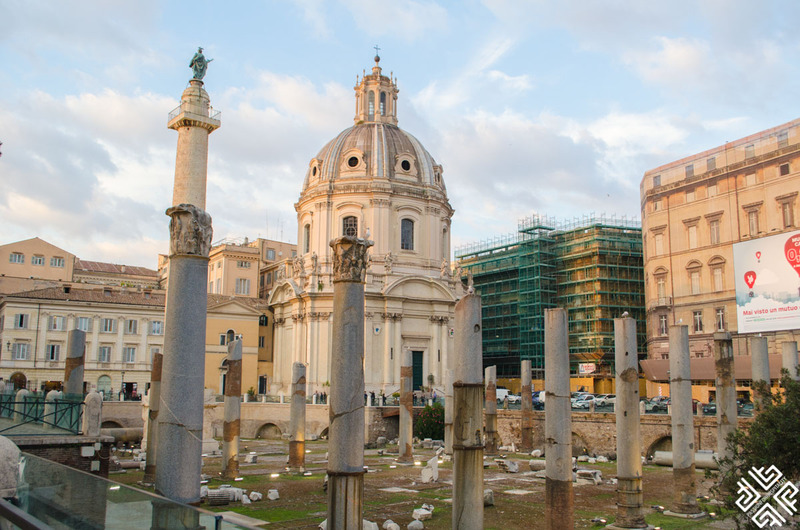 Wandering the ancient city you will be exposed to the arts, customs and everyday life of the past. You can visit the luxurious villas, the dwellings, brothels and workshops which will open up the reality of life as it used to be. 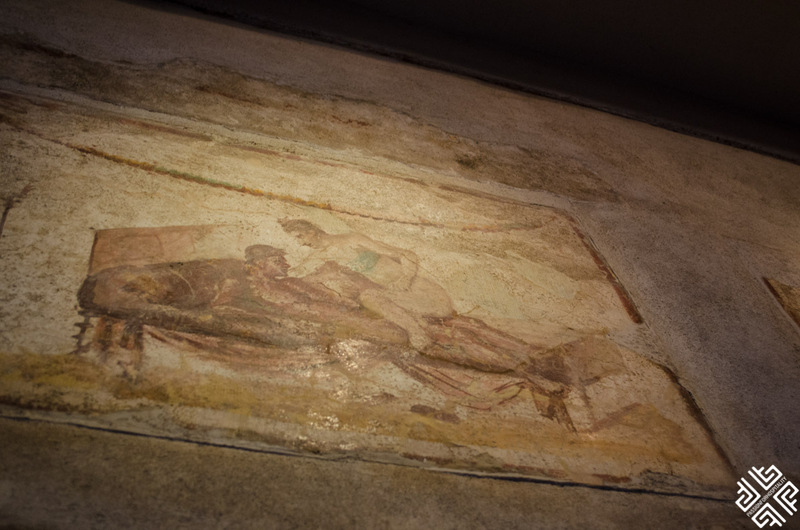 The archeological evidence is so vivid that you will absolutely get immersed in the reminders of the past. 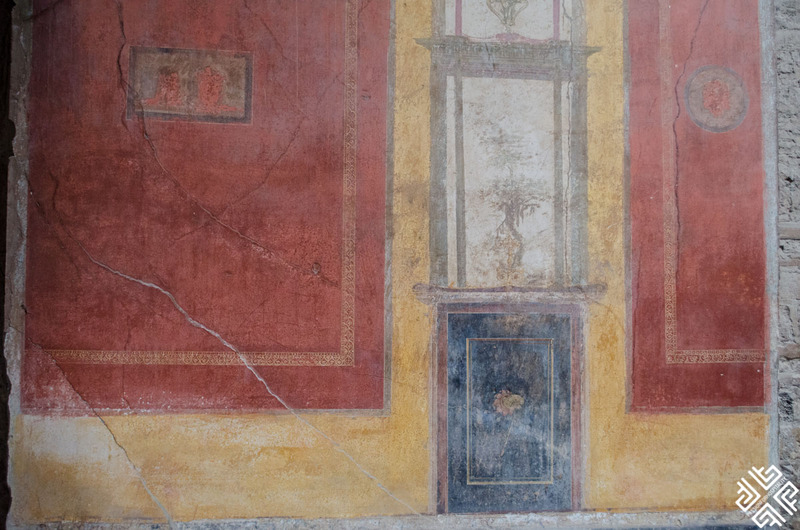 After your day trip to Naples and Pompeii, you’ll be taking the bus back to Rome where you can finally rest enough to get ready to go back home. The duration of the trip is approximately 14 hours. 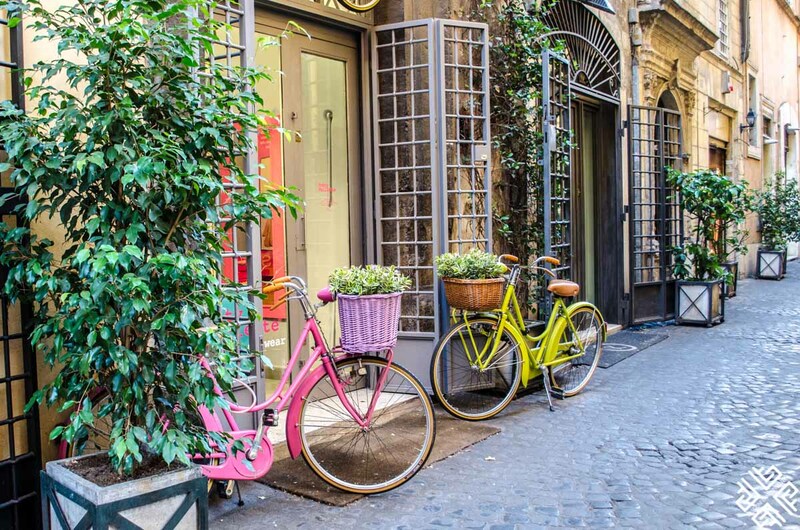 You might also like to visit Florence from Rome. 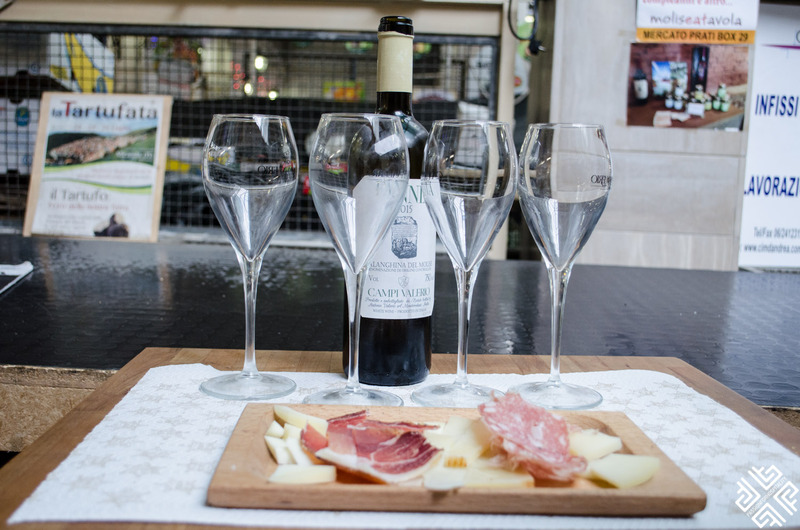 Check out this post on how to take a day trip to Florence from Rome. 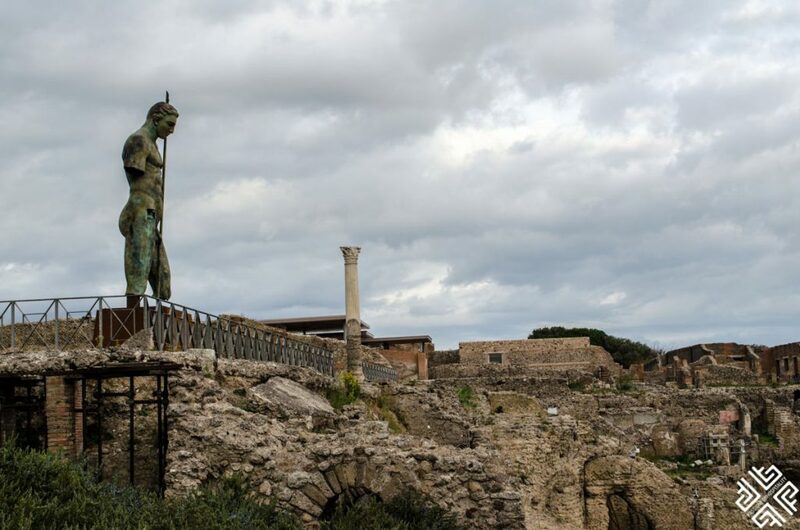 Or explore more of Italy like a trip to the south to discover Sicily. I flew with Ryanair from Athens. There are numerous daily flights from all major European cities. 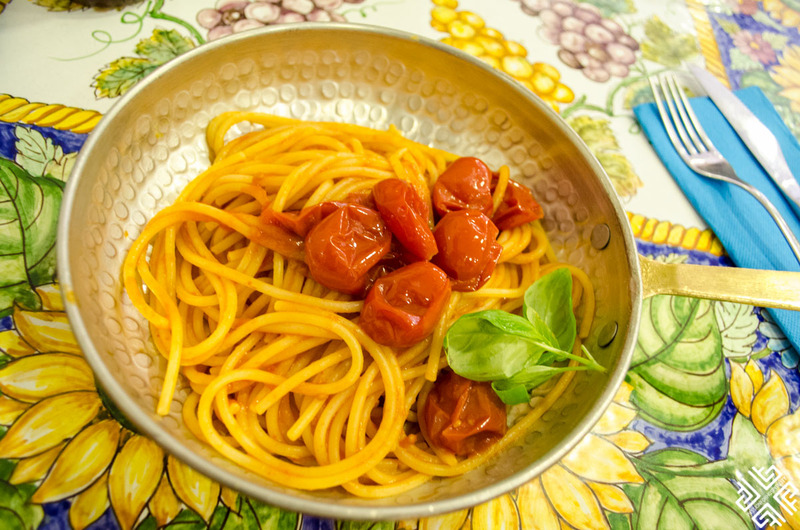 You can also plan to see other Italian destinations during your visit. 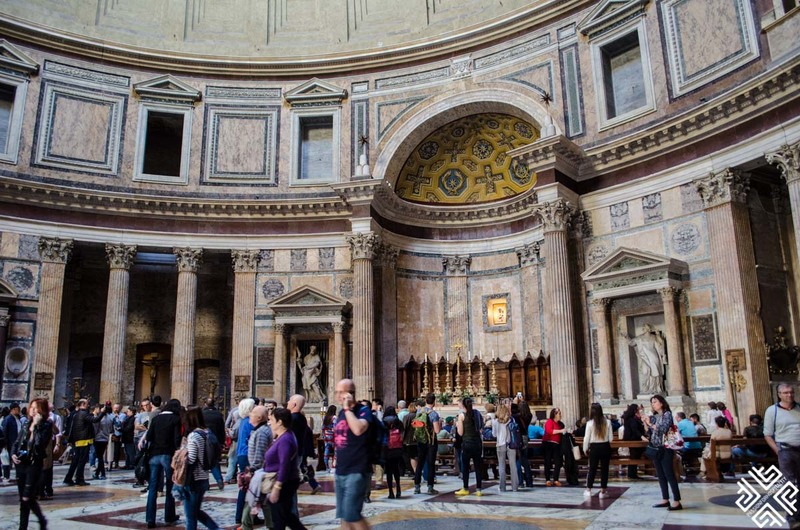 This guide can also be used as a 4-day itinerary for second time visitors to Rome. 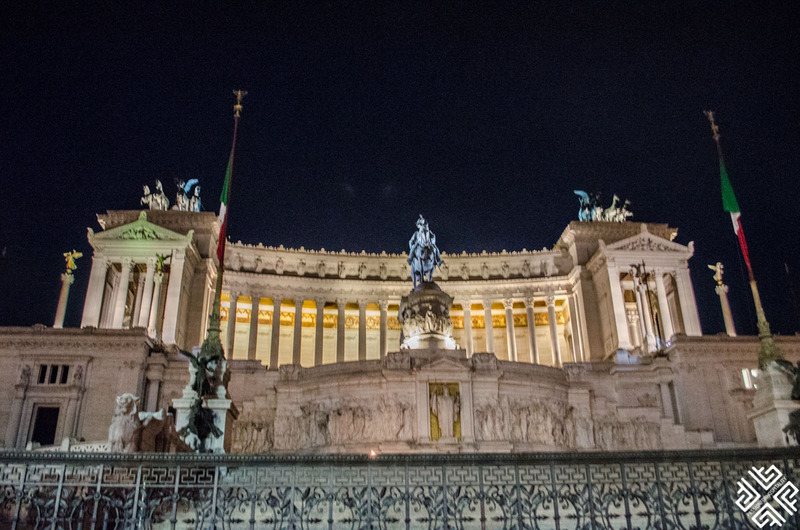 Italy has an excellent train network and you can combine your Rome trip with other Italian cities. I have also visited Florence from Rome. You can check my previous posts here.